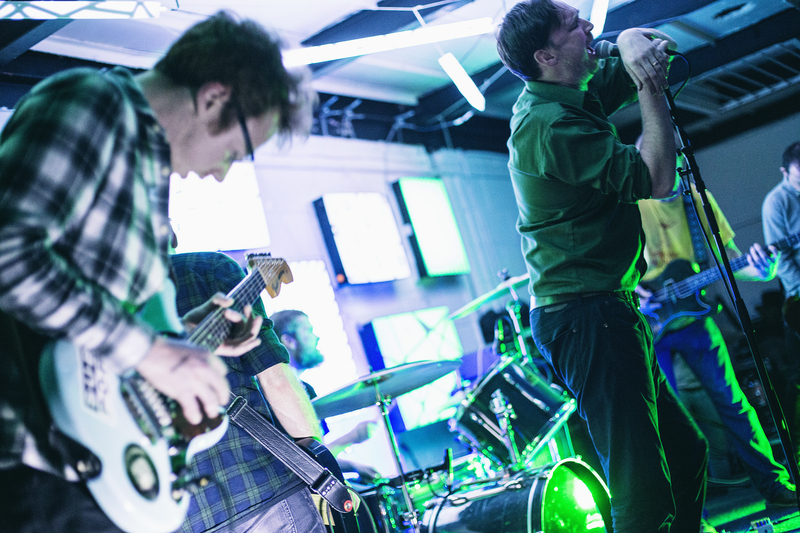 As part of this years Supersonic Festival we are also running in parallel a major season of exhibitions and events Home of Metal devoted to the music that was born in and around Birmingham. Music that turned up the volume, down-tuned the guitars, and introduced a whole new meaning to the word ‘heavy’. 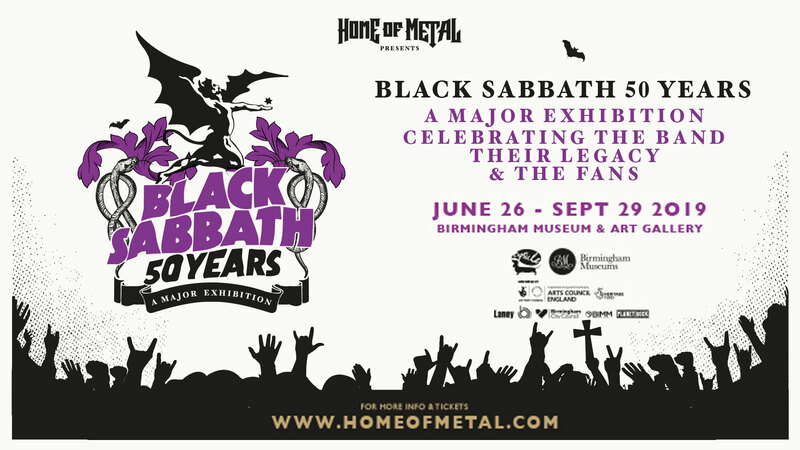 With a blockbuster exhibition Black Sabbath 50 Years at Birmingham Museum & Art Gallery. 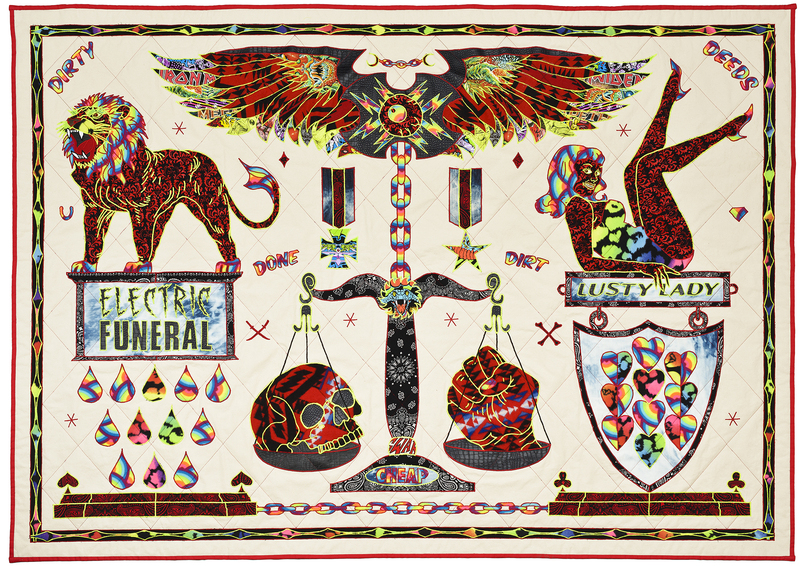 All This Mayhem at MAC (Midlands Art Centre),presents US artist Ben Venom using traditional quilting and Heavy Metal aesthetics to create textile based pieces which contrasts the counterculture components of gangs, punk/metal music and the occult with the comforts of domesticity. Alan Kane: 4 Bed Detached Home of Metal at The New Art Gallery Walsall, will see Alan Kane bringing together personal collections from metal fans, plus works from leading UK artists including Jeremy Deller, Una Hamilton Helle, Des Hughes, Jim Lambie, Sarah Lucas, Jessica Mallock, Mike Nelson, Simon Periton, Mark Titchner, Cathy Ward, Charlie Woolley and, of course, Alan Kane himself, in an ambitiously collaborative exhibition that will be set across the extensive Floor 3 Galleries. Hand of Doom at MAC (Midlands Art Centre), the exhibition features a collection of portraits of Black Sabbath fans wearing the ubiquitous battle jacket. The jackets are embellished, handmade and embroidered by the fans themselves, and worn to tell the story of their fandom and gig-attending history. Monster Chetwynd: Hell Mouth 3 at Eastside Projects, Chetwynd’s fascination with Penelope Spheeri’s three-part film series The Decline of Western Civilisation (1981 to 1998), featuring many of the ‘most influential and innovative musicians and groups of all time’, has informed many of Chetwynd’s works over the past decade and will take centre stage in this large- scale sculptural and performative spectacle set within this industrial space in the heart of Birmingham. 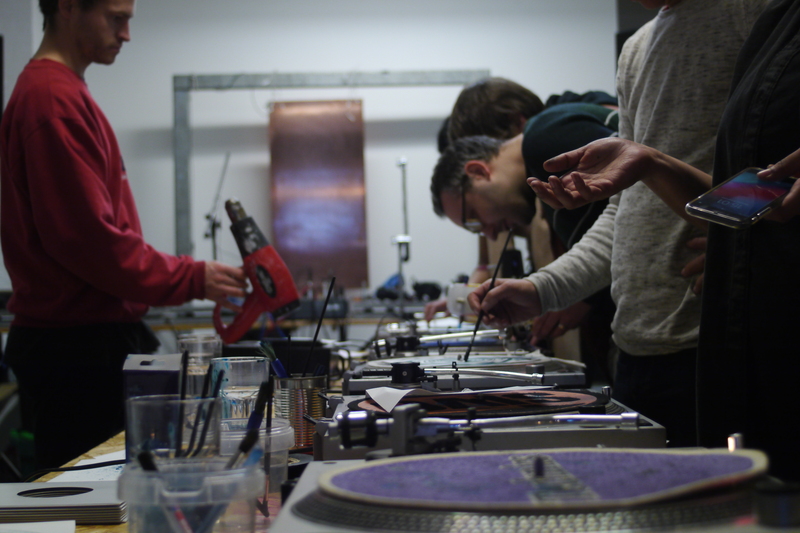 Przemek Branas at Centrala, Branas, an award-winning and acclaimed Polish artists, will present two exhibitions and a programme of talks and events in response to the theme: Home of Metal. 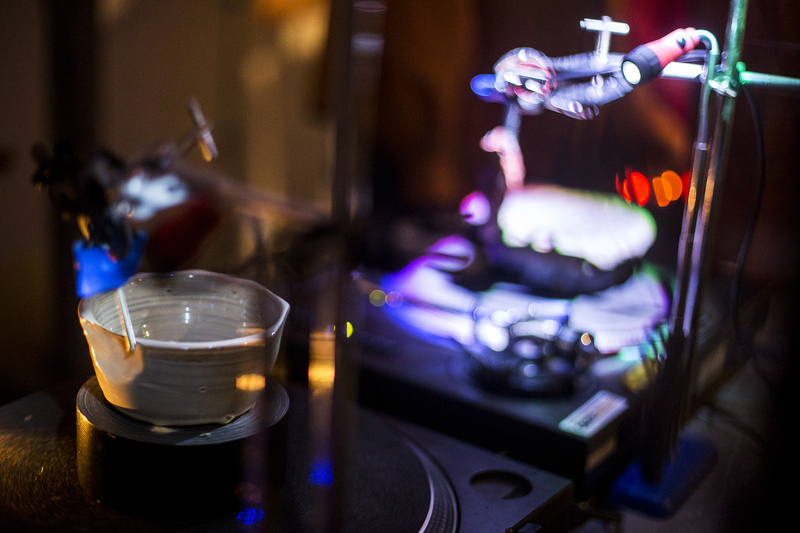 An archival and research based exhibition will feature materials, such as letters, cassette tapes and zines, collected by Polish fans and received by them from the West, at a time the Polish music scene was under state control. BIG LAD is a two-headed trigger-synth-party-noise machine made up of Henri Grimes (ex Sheild Your Eyes) on drums and Wayne Adams (ex Death Pedals) on synths. This duo are renowned and cherished as an unforgettable live experience having played extensively in the UK’s exceptionally healthy and thriving underground scene. 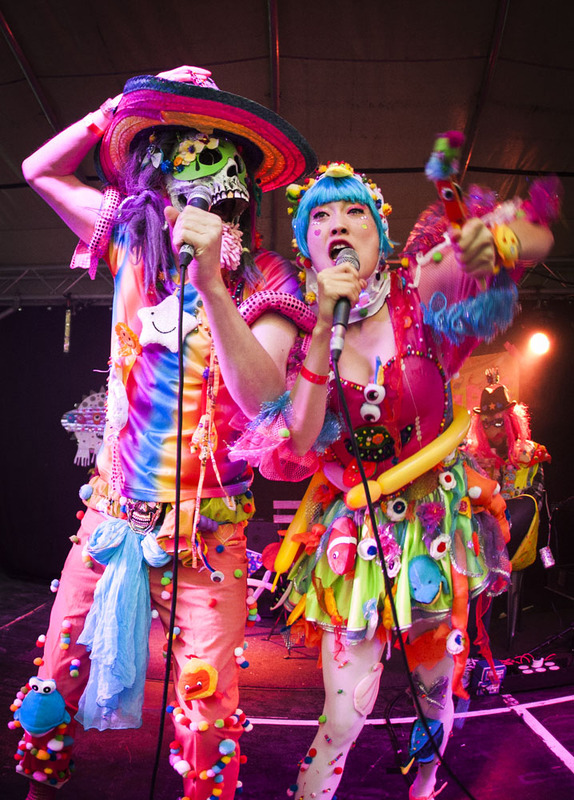 They’re as comfortable trashing people’s necks at sweaty basement punk shows as they are melting gurning faces at raves such as Bangface and are now becoming a staple on many UK and European festival stages every year. “Are you ready? Let’s play!” exclaims the strangely menacing toy sample which opens up BIG LAD’s new record… and play they certainly do, may God help you if you’re not ready for the off warp speed-drumming ala Lightning Bolt, twists and turns with Venetian Snares and Aphex Twin style synth and gizmo sonic warfare. This isn’t a record to soundtrack a picnic. “I usually just come up with hooks and riffs etc. These pair have a sound that is purely relentless. 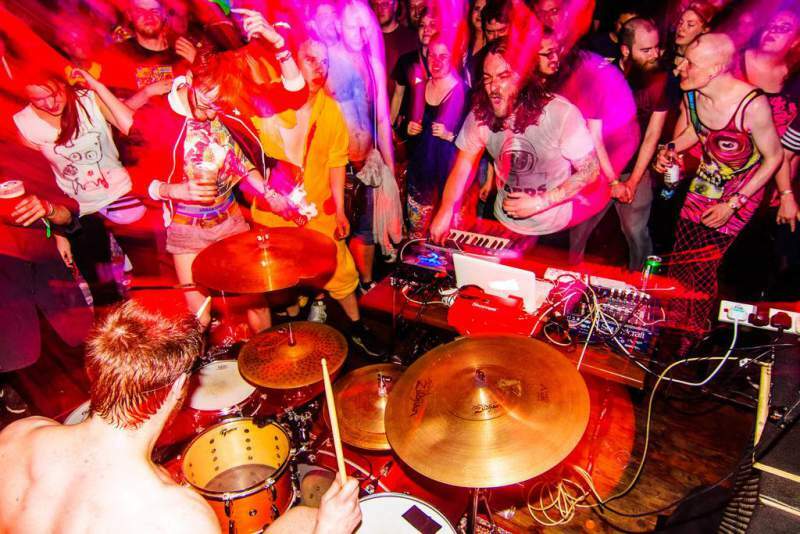 We can’t wait for them to bring the punk/metal/noise rock/whatevercore electronic-hybrid party to Supersonic 2019! Recognised each year on March 8th (as in today), this is a celebration not affiliated with one group, but is marked by governments, organisations and charities around the world with performances, talks, rallies and marches for women and non-binary across class, cultures, religions and nations. Whatever your gender identification, International Women’s Day is a valuable commemoration. 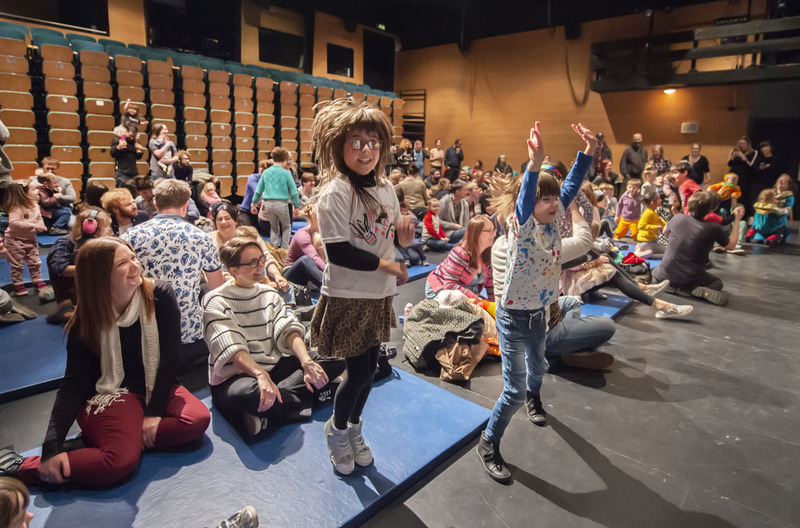 Despite being something which has been observed since the 1900’s, the past few years have seen a surge in visibility surrounding the ongoing issues around gender inequality, and in particular programming in the Arts and Music sector. While there are certainly changes being made and avenues put in place to tackle these discrepancies, there is still in 2019 room to #BalanceforBetter. Recent research shows that just 17% of songwriters registered with PRS identified as women and since 2012 female record producers have been outnumbered 47 to 1. International Women’s Day is a fantastic opportunity to address and tackle the change we want to see world wide. That being said, we still recognise that celebrations of female identifying artists are not refined to just one month- indeed, one day- of the year. 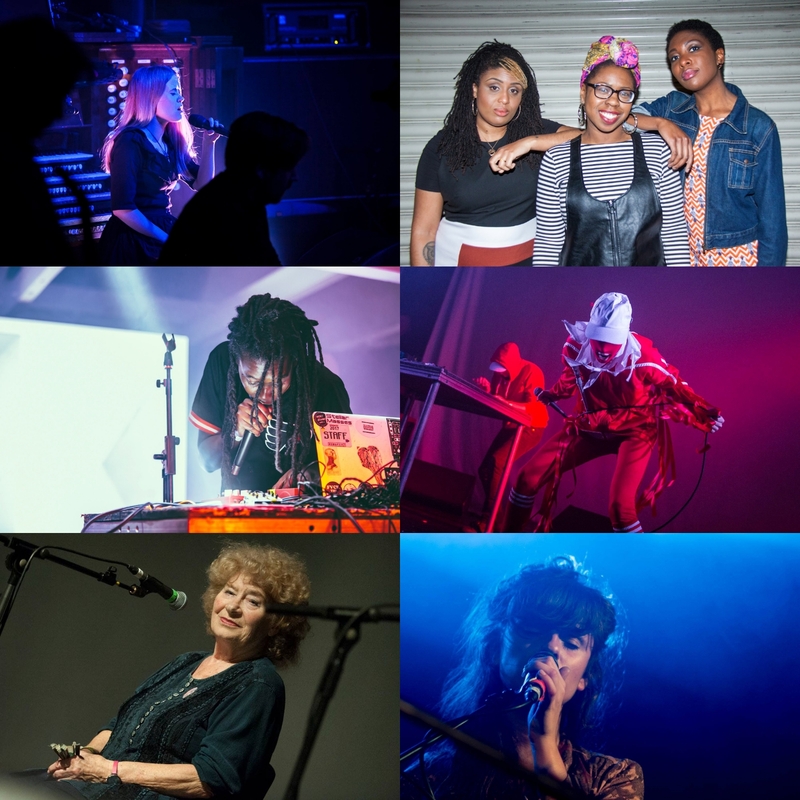 As an organisation spearheaded by women, Capsule & Supersonic Festival take pride in platforming such a vast variety of female and non-binary artists from all over the globe, encapsulated by their sheer talent, craft, and voices they chose to represent. 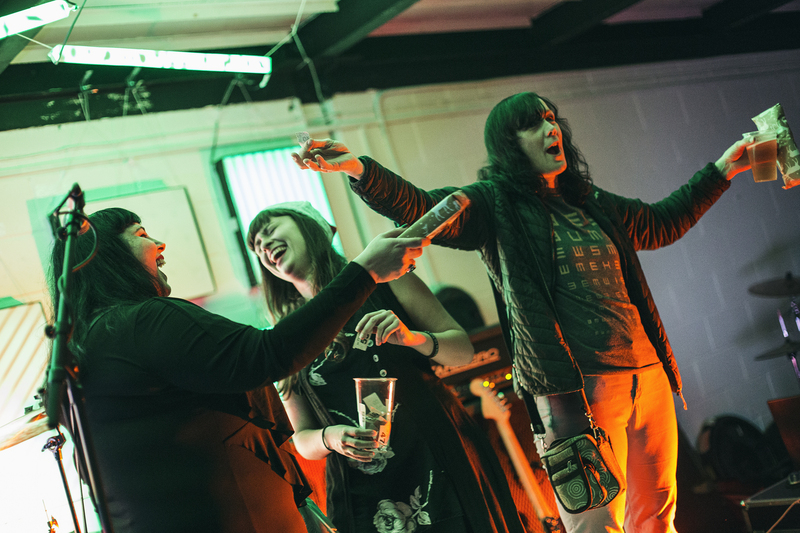 From the office, to the stage, to the mosh pit- Supersonic women take up space! 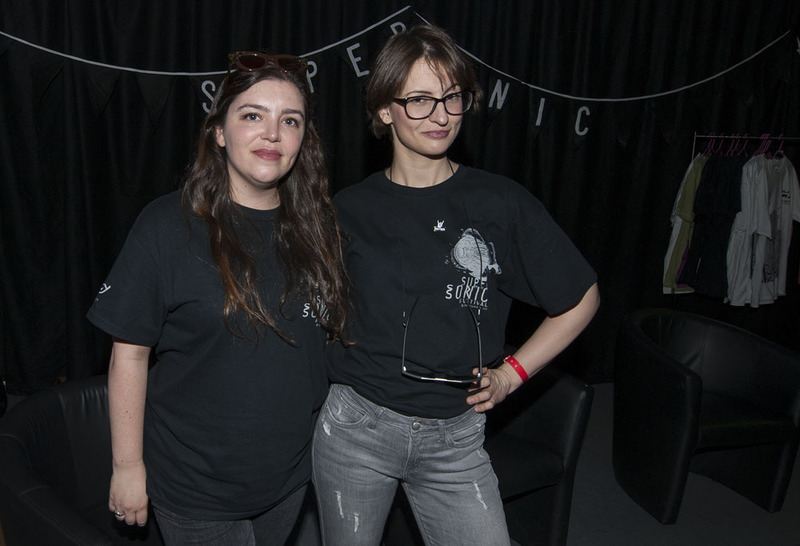 As ever, Supersonic would like to take this opportunity to say a huge thank you to the wonderful composers and musical creators who we are privileged to work with – male, female and non-binary – and whose work continues to inspire us daily. 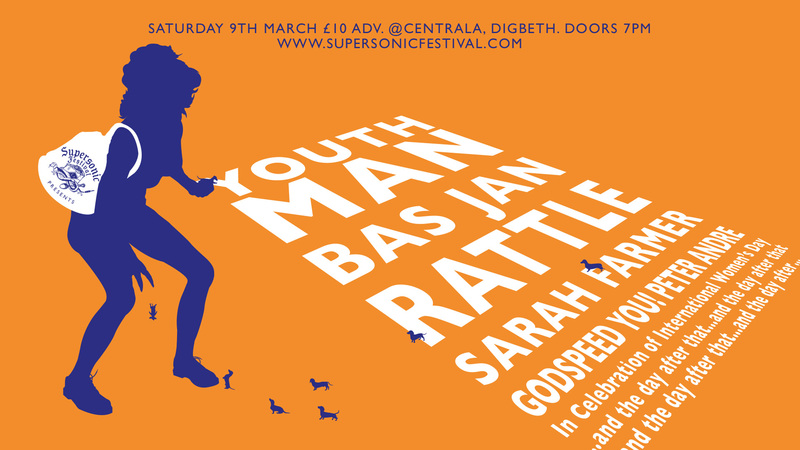 We sincerely hope you join us in our own International Women’s Day celebrations TOMORROW at Centrala, for performances from Youth Man / Bas Jan / Rattle / Sarah Farmer & Godspeed You! Peter Andre. SUPERSONIC WOMEN – PODCAST RELEASE! On this Superspecial podcast we celebrate Supersonic WOMEN! 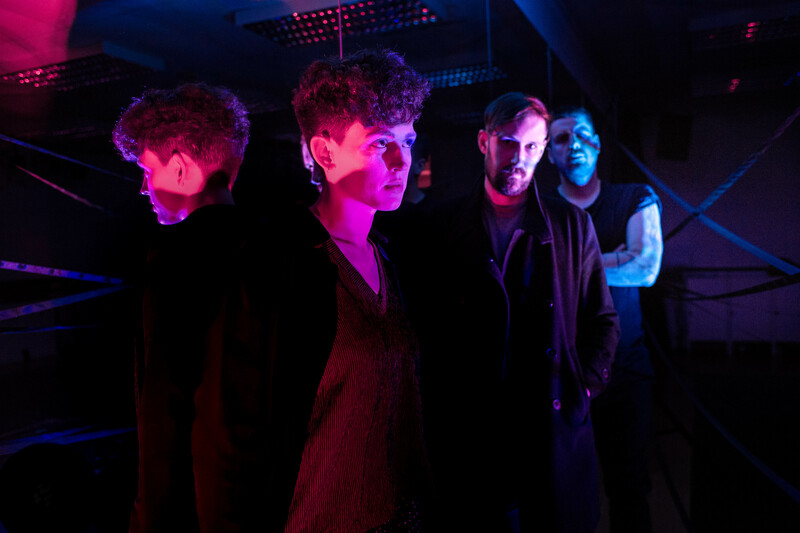 INCLUDING SPECIAL FEATURE: Anna chats to Katy from RATTLE who perform this Saturday – learning about what’s happening with the dynamic duo, their long-standing relationship with Supersonic, their influences, with Katy choosing some bangin’ tracks. COME JOIN US FOR ALL THE FUN THIS SAT AT CENTRALA AND CELEBRATE THESE AWESOME WOMEN IN EXPERIMENTAL MUSIC. 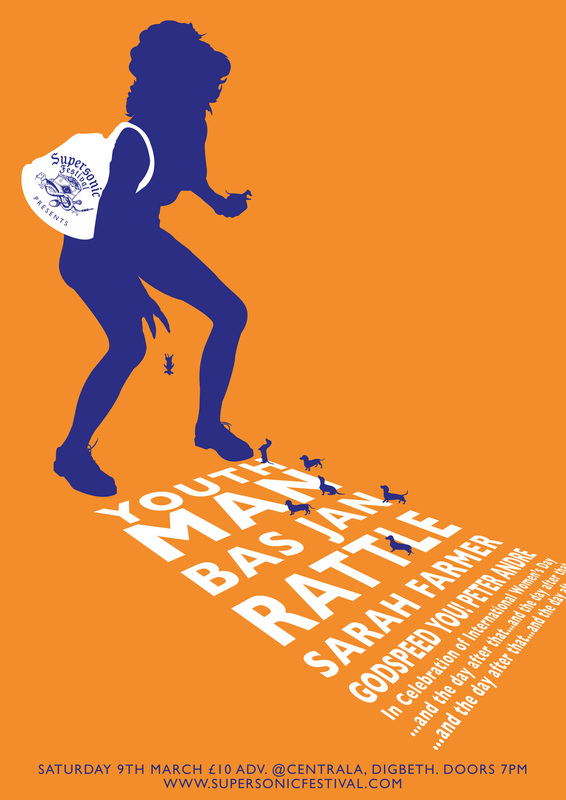 FOR HEADLINERS YOUTH MAN IT IS SADLY THEIR LAST SHOW FOR THE FORESEEABLE FUTURE, LETS SEND ‘EM OFF IN STYLE! DO YOU LIKE TO PARTY?! 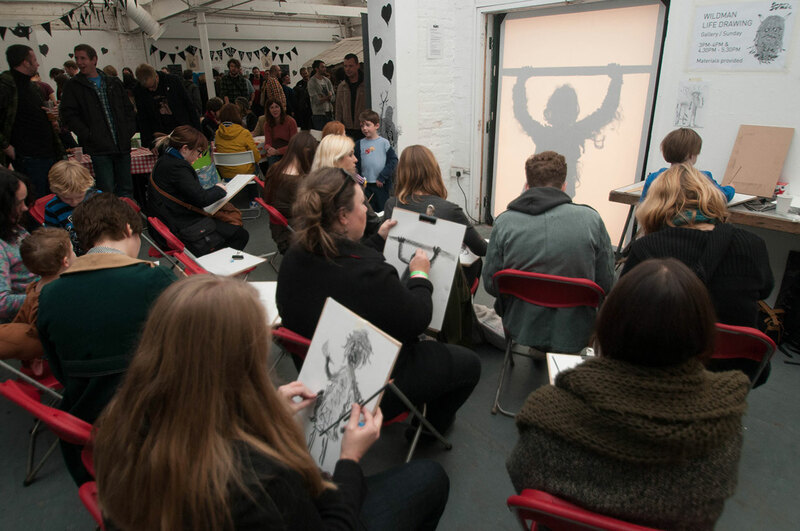 Today we’re shouting about the awesome Emma Thompson, creative director of Fat Out – curating shows for the rowdy, weird & obscure since 2008. 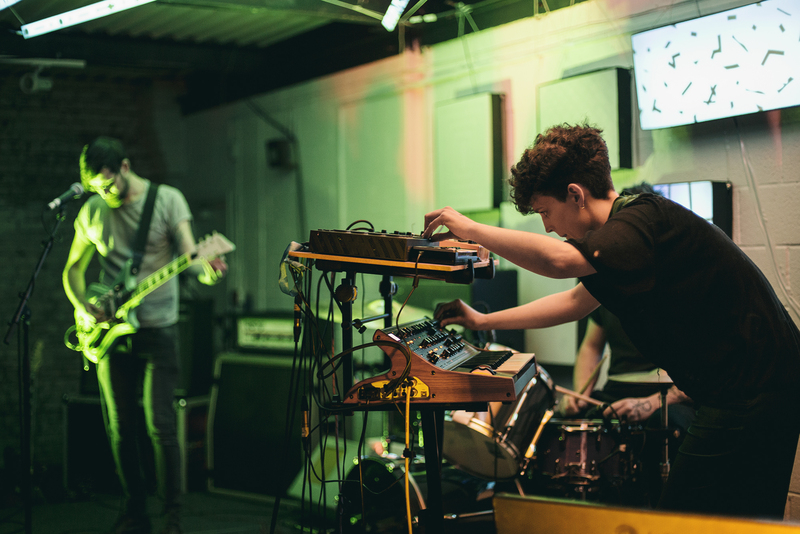 From the burgeoning underground scene in Salford, Manchester, Fat Out venture into the obscure and creative potential of artists both locally and internationally with an aim of discovering new and adventurous music and producing captivating live shows for both artist and audience alike. Aside from aiming to promote a combination of challenging, intense, experimental and downright rowdy music, one of the driving ideals is to treat artists with the respect, trust and professionalism deserved. 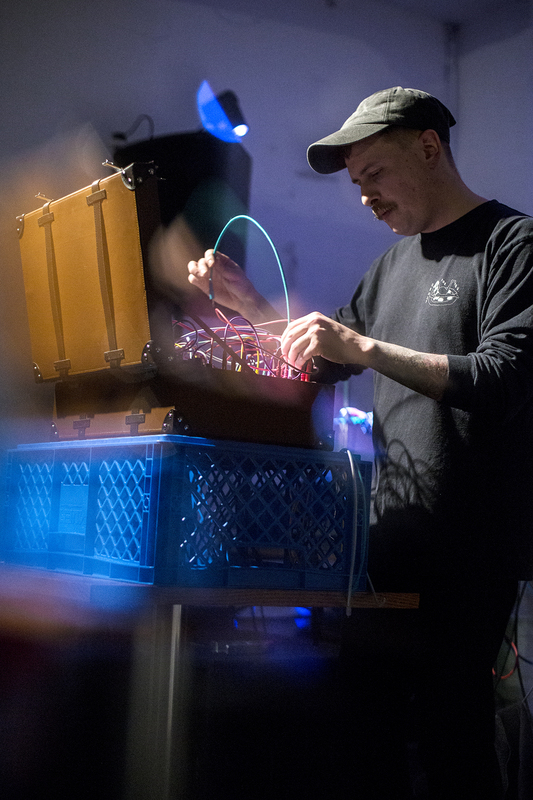 Cementing the true collaborative spirit we experimental independent programmers share, back in 2017 at the last Fat Out fest, Supersonic curated a stage on the Sunday of the festival. 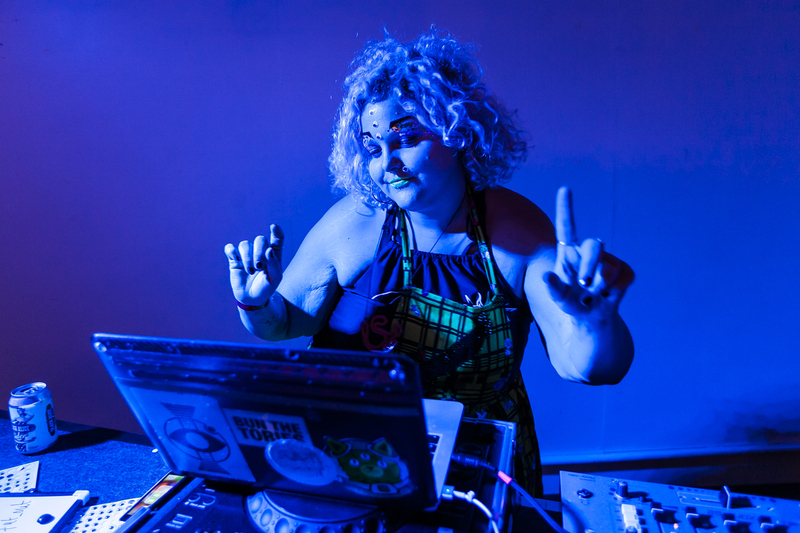 At 2018’s Supersonic, the Manchester crew descended in full force bringing us Fat Out DJ sets across the weekend, the gorgeous glitter station & Emma even appeared in the infamous Supersonic Supergroup! We continue our loving relationship with Fat Out via the Outlands Network as well. 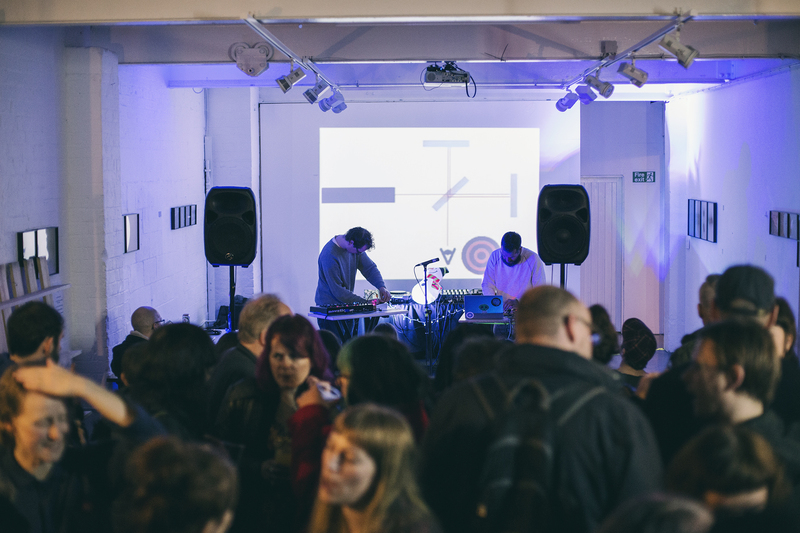 If you haven’t heard about this yet, it’s a cohort of experimental music & art promoters & venues across the UK aimed at touring bold, adventurous collaborations to multiple regions. Emma is a partner in the cohort, the Fat Out curated tour is still to come later this year – hold on to your seats! 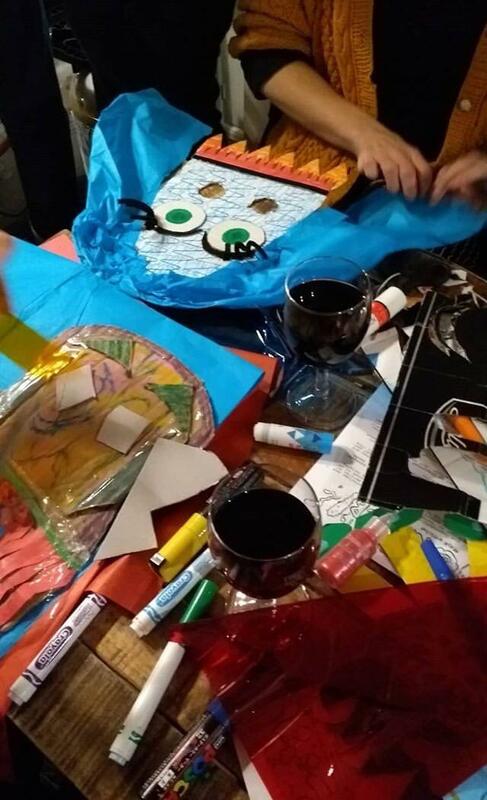 Aside from all the awesome work Emma does as a curator, she’s a creative force to be reckoned with in her own right. Her newest creative outlet in collaboration with Kaskie, Godspeed You! Peter Andre is something to behold – gothic duo set to collide the world of pop royalty with deep dark witch music. They will be opening up proceedings on March 9th for our celebration at Centrala, so be sure to get down for doors at 7pm to catch their set! The Manchester crew are descending on Brum in full force for our shindig next week. As well as GSY!PA, we’ll be getting a Fat Out DJ set & FABULOUS glitter station once again, darlings. We can’t wait to hang out with our pals from up North. One thing’s for sure, these gals know how to party. So don’t miss out on all the fun and be sure to GET YOUR TICKETS! for what’s set to be a riotous night! FAT OUT TIL YOU PASS OUT! Epic, crushing, and heavy beyond words, YOB has achieved legendary status in recent years due to their unmatched aesthetic and incredible body of work. 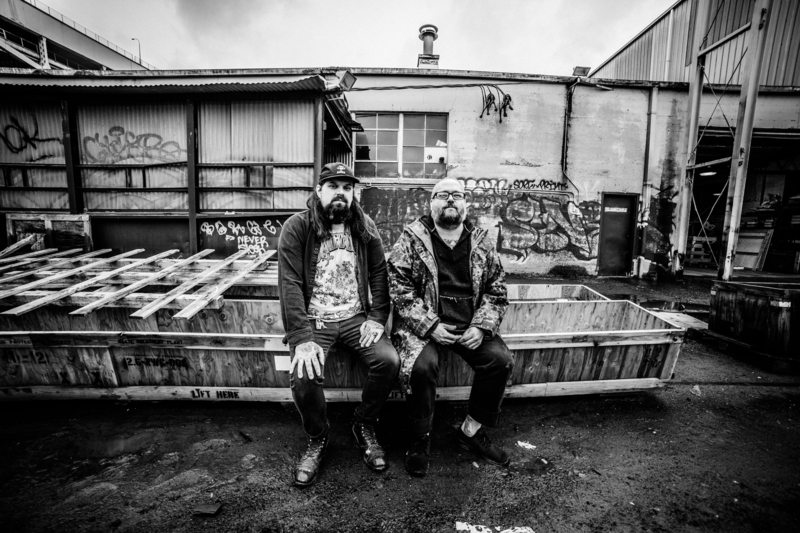 The band join a line-up with the likes of heavy noise legends Neurosis and Godflesh, bringing to the Supersonic stage their uniquely developed, modern sounding doom metal which harks back to the classics. Formed in 1996 in Eugene, Oregon under the leadership of doom metal mastermind Mike Scheidt on guitars and vocals, the group have continually reinvigorated and reinspired their sound over the years. 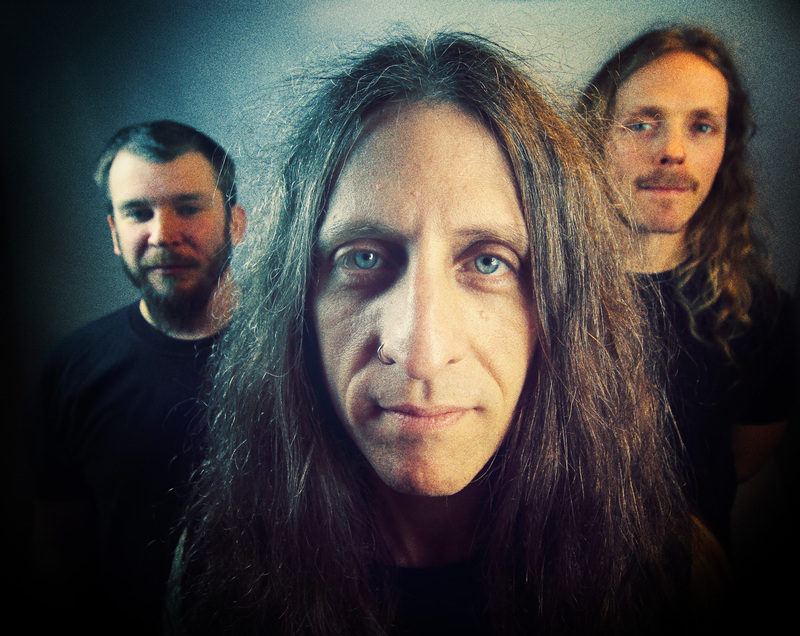 From doom with a psychedelic twist (a sound referred to by Pitchfork as ‘cosmic doom’), to aggressive, impassioned riffs of their latest cathartic album Our Raw Heart, there are few bands that do what YOB do. With massive riffs and captivating vocals, YOB bleed out riveting performances of enormous volume with pensive, transcendental beauty. 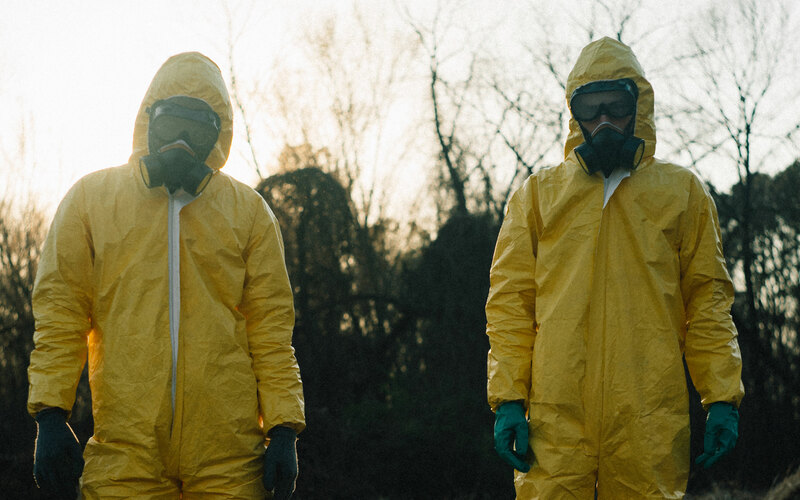 From their earlier, more grizzly sounds, their latest music exists in its own organic universe. The stirring Our Raw Heart album was created after guitarist and vocalist Mike Scheidt suffered from a severe episode of diverticulitis, and realised on stage shines with ebbs and flows from ballad-like meditations to the caustic grunge of the bands origins. Their performances move with a graceful molasses cohesion, moved by strong processional grooves from the bassist Aaron Reiseberg and the drummer Travis Foster, lightened by the unique tone of Scheidt’s guitar which continuously bends and transforms each careful note. They are the apex of what heavy music can achieve, and will melt yer face off this year at Supersonic’s very special 15th anniversary. 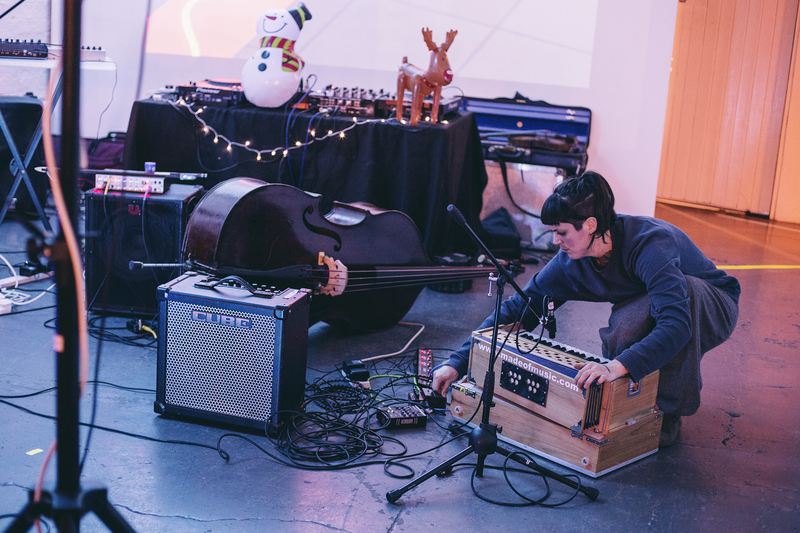 A recording project and live duo with an accompanying focus on analog film visuals, Jerusalem In My Heart performances feature a wide array of multi-media and theatrical elements, with no two shows ever being the same. Jerusalem In My Heart (JIMH) is the acclaimed Montréal–Beirut contemporary Arabic audio-visual duo of musician/producer Radwan Ghazi Moumneh and experimental analog filmmaker Charles-André Coderre. Guided by Moumneh’s melding of ‘traditional’ melismatic singing (in Arabic) and buzuk playing, with modern deployments of modular synthesis, filter banks, power electronics, field recordings, JIMH pay homage to the blown-out distortions of historical Arabic cassette tape culture, processed through modern currents of electronic music. 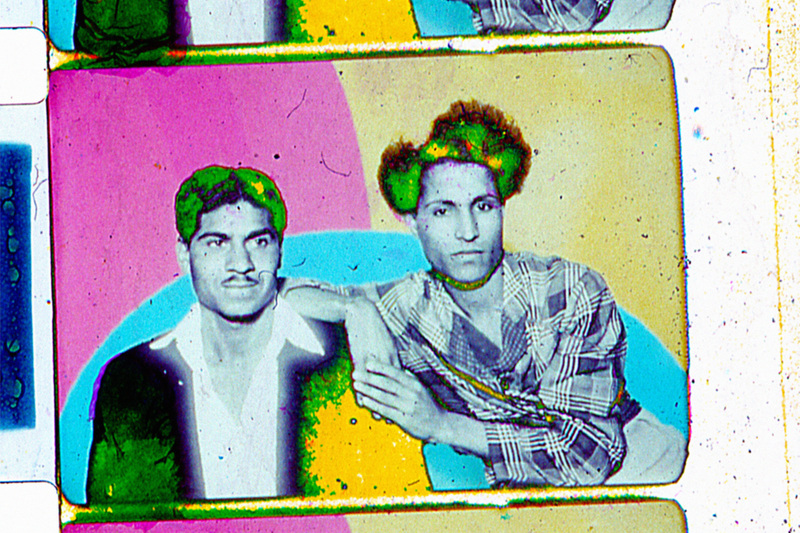 Moumneh’s lyrical themes are deeply expressive and rich in political and socio-cultural historical consciousness, all of which are complimented by the 16mm film loops and projections that are an integral part of the JIMH aesthetic identity. With subtle drones and tensive ambiances coming together, JIMH builds an atmosphere that transitions organically into Middle Eastern melodies, with distortion and noise joining aspects of electronic production. Orchestrally, their music creates a potent element which results in a rich sonic offering, the joining of numerous instruments meeting to bring together transcendental experimental folk music. There is a certain spiritual element that sprouts from many forms of traditional music, but there is something distinct about JIMH Arabic melodies. Carrying the listener through different areas, from minimalistic, to heavy atmospheres to moments of free-jazz spirituality and drunken rendition, the buzuk and percussion lead the way through bizarre, hazy projections while repetitive motifs build on a momentous sonic illusion. With another 10 acts JUST ANNOUNCED for our very special 15th year anniversary, this is a Supersonic weekend NOT TO BE MISSED! Get your weekend tickets here. Over in Digbeth and across the 15 year anniversary weekend, Moor Mother shall bring her viscerally charged output, and unstoppable energy to an innovative new collaboration with Supersonic veteran The Bug- who first appeared at Supersonic Festival’s first ever edition back in 2003- joining the dots between mutant strains of dancehall, acid ragga and grime. 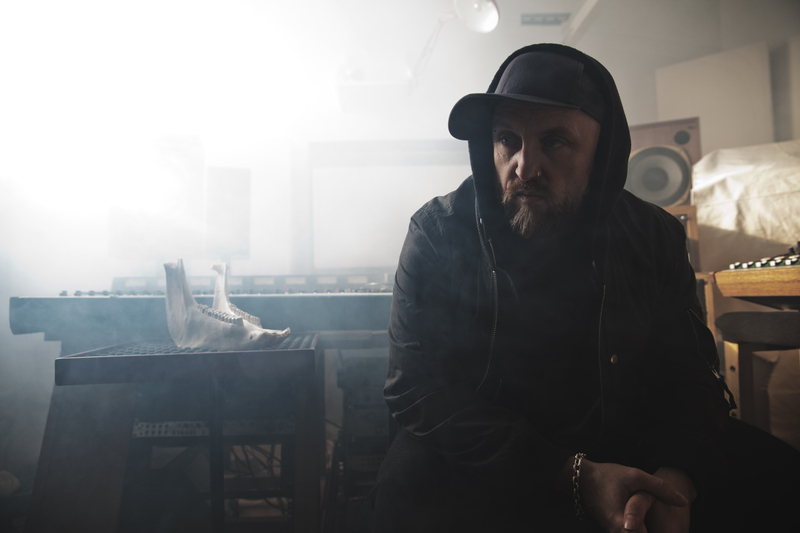 The Bug: The main mutation of producer Kevin Martin who over the years has been, and is also currently, known under many guises, and has been screwing around with deep bass for well over a decade. 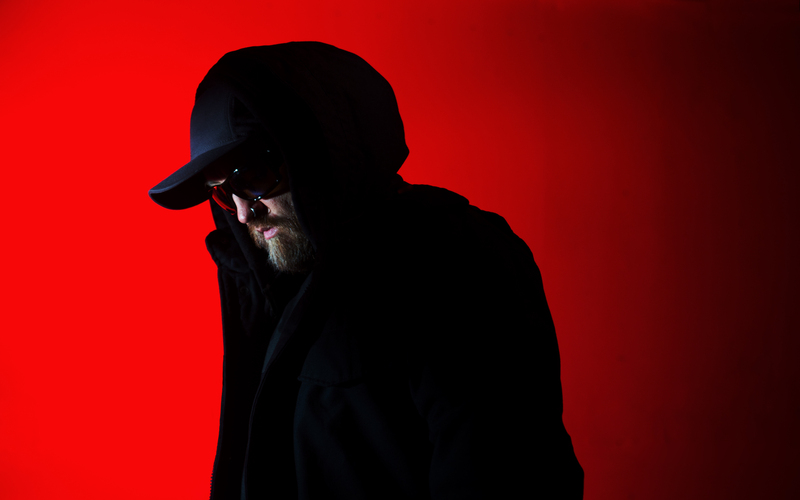 From his first release in 1997, a concept album called Tapping the Conversation, his sounds have evolved from alternative prototypes of dubstep and instrumental hip-hop to a charged, digital ragga with a repertoire of grimy, distorted beats and mutated dancehall. With punishing, acid-burnt dub electronics, The Bug’s music has been described as a manifestation of how London has transformed the sounds of Jamaica to its own ends, from 2-tone to jungle to dubstep, with rhythms so pervasive and locked in that after a while you start hearing the spaces in between as much as you’re hearing the beats themselves. 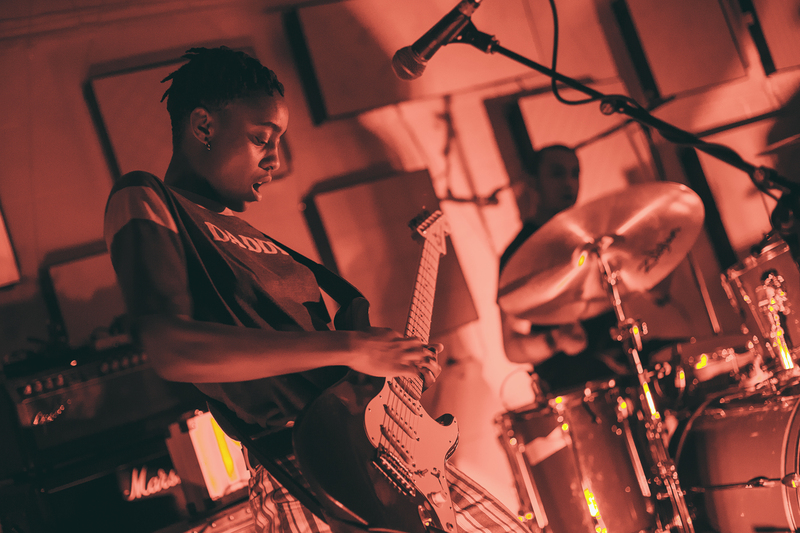 In light of this very special Supersonic year, The Bug will be joined by Supersonic’18 artist Moor Mother, a musician, poet, visual artist and workshop facilitator who has performed at numerous festivals, colleges, galleries and museums around the world. In line with her own description, the viscerally charged Philadelphia based artist and activist, Camae Ayewa, creates music which weaves between “blk girl blues”, “project housing bop” to “slaveship punk”, with these self made categorisations allowing Moor Mother to be fluid and interdisciplinary with her expression. 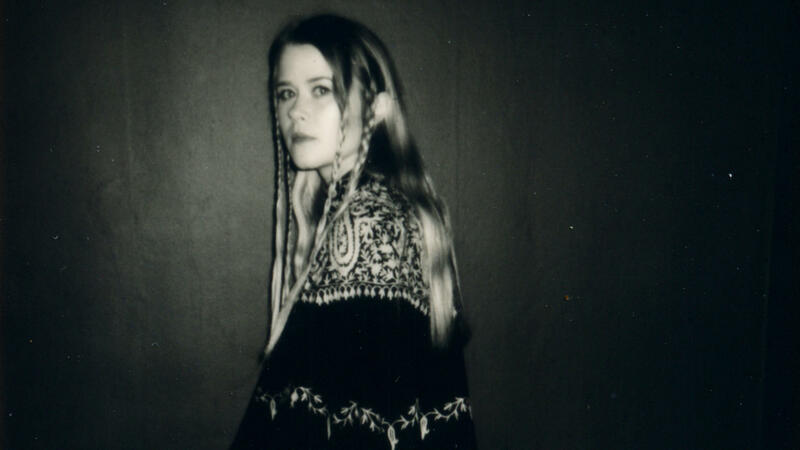 Her music is often harsh, confrontational, projecting both the cathartic anger of punk and the expansive improvisatory spirit of Sun Ra into an output that is consistently grounded in a sense of history and story-telling. Through her blending of hip-hop, samples, spoken word and free jazz into collages that shudder with both pride and anger she charts centuries of abuse against black people, the differing textures working in tandum to create a strange, jarred beauty. 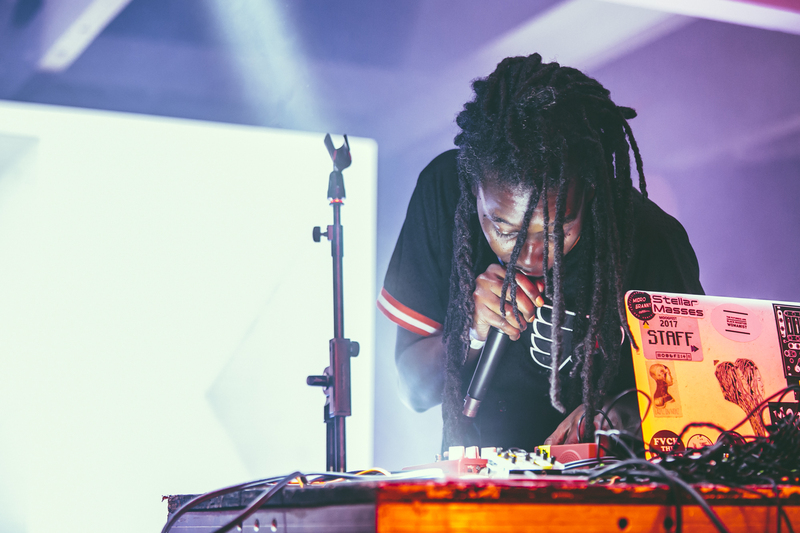 As Robert Aiki Lowe’s guest curation, Moor Mother made an impression not only with her enigmatic live set, but also with her compelling Q&A and time with the MOOG Sound Lab. 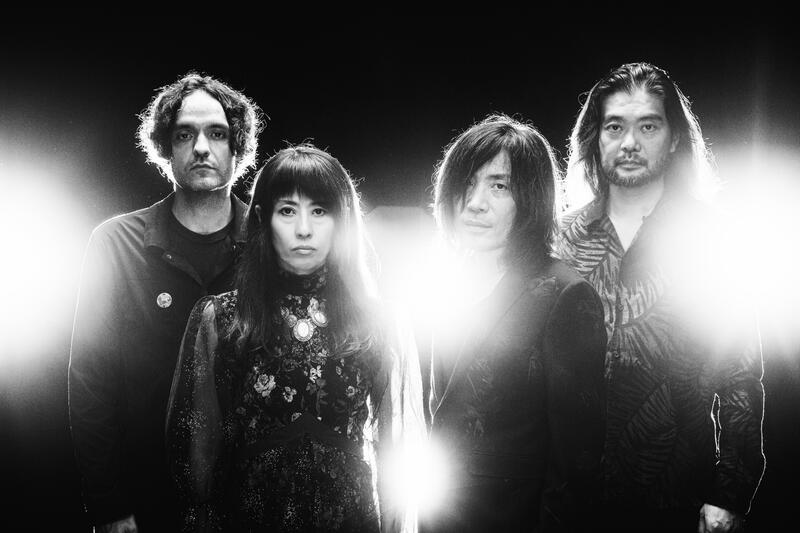 Her collaboration with The Bug is set to be a hugely anticipated performance, and if their 2018 performance as ZONAL (The Bug and JK Flesh) and Moor Mother at Caixaforum, Barcelona is anything to go by, Supersonic audiences are in for a set of punishing volume and intense bass. 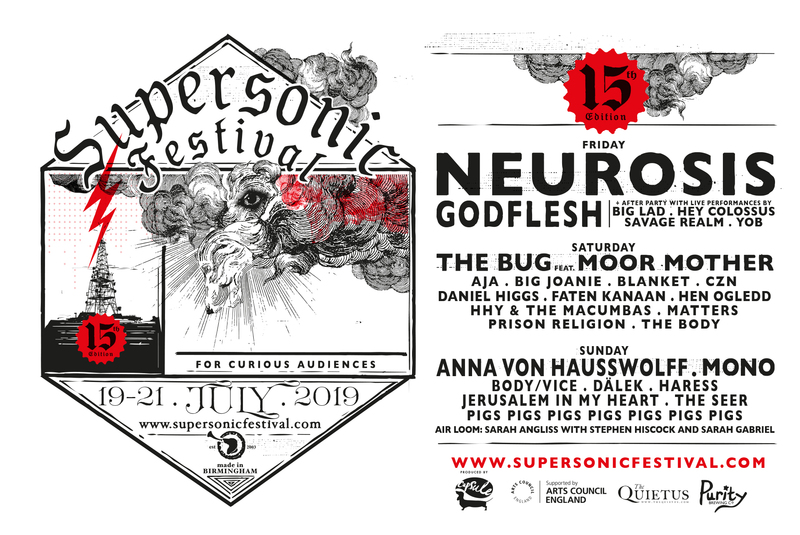 Tickets for Supersonic Festival 2019- 15th edition- are available HERE!!! 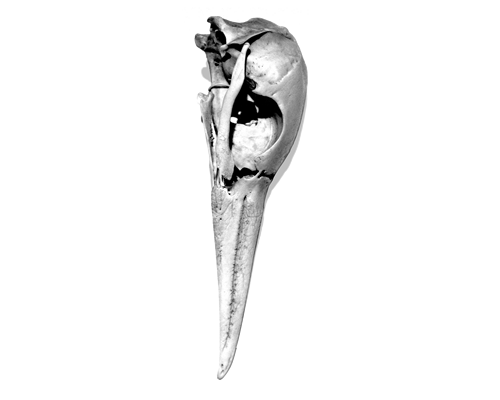 We’re so excited to be bringing The Body from Portland to Brum this July – adding to the ever raucous Supersonic Festival 2019 line-up & promising to be an unmissable set! As they say themselves: “We’re not angry, we’re just really sad.” And it shows. WEEKEND TICKETS ON SALE NOW!!! 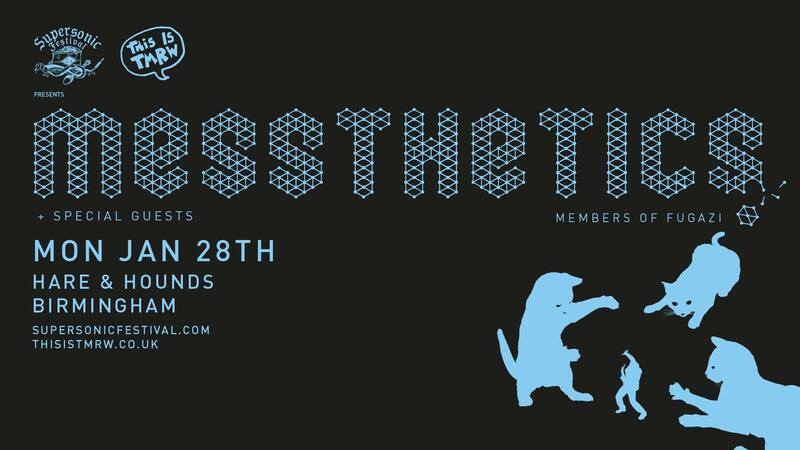 On Saturday 9th February team Supersonic were thrilled to present the another night of leftfield oddities in the name of OUTLANDS, the UK’s new touring Network of experimental music. 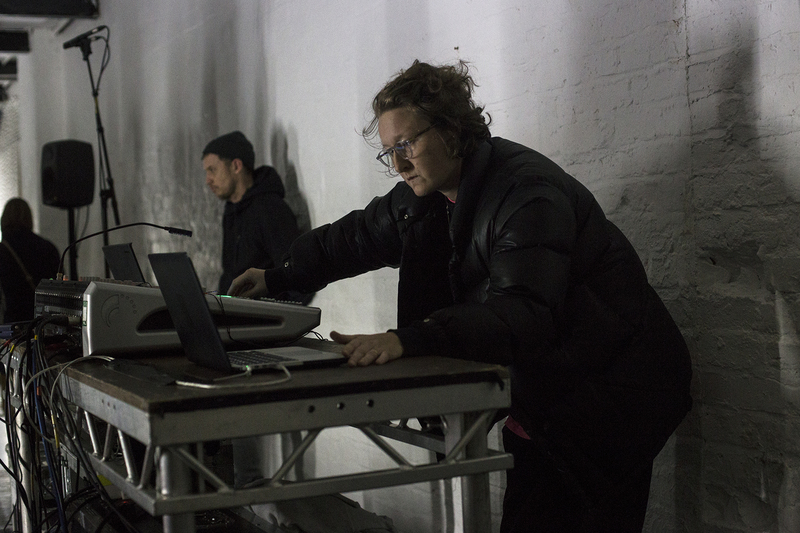 ‘Ecstatic Material’, the first Outlands tour of 2019, combined sound and substances from two original figures in their respective fields; musician and producer Beatrice Dillon and artist Keith Harrison. Curated and produced by Jennifer Lucy Allan and Al Cameron, this live sound experiment was an immersive treat, conducted through a modular system made up of malleable materials, light and multi-channel audio which is constructed, choreographed and diffused by the artists at Centrala, Digbeth. 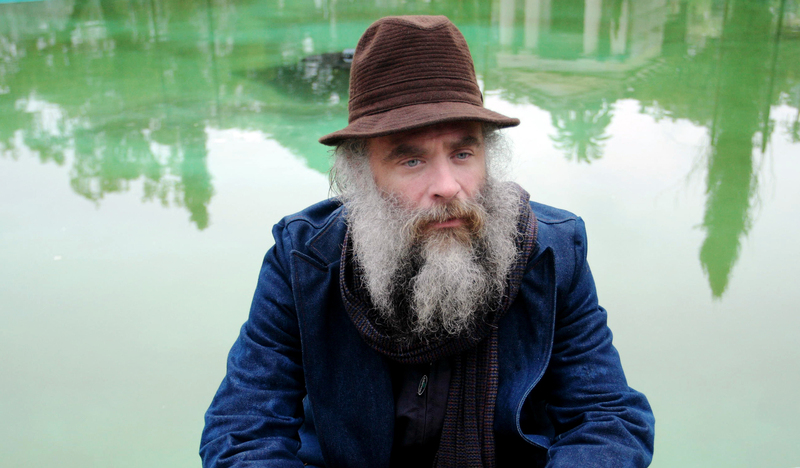 READ HERE FOR THE 4* REVIEW FROM THE GUARDIAN OF ECSTATIC MATERIAL IN MANCHESTER!!! 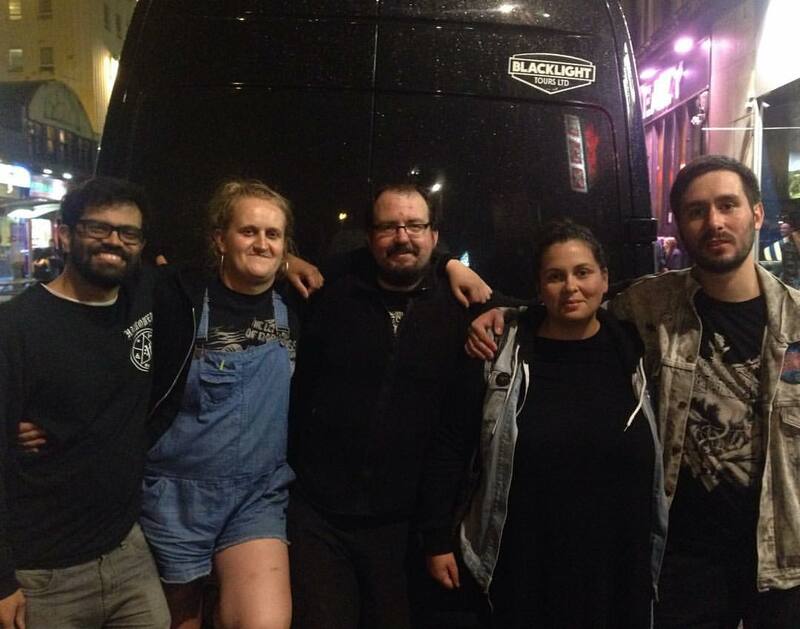 Tour support came from DJs Copper Sounds from Bristol. 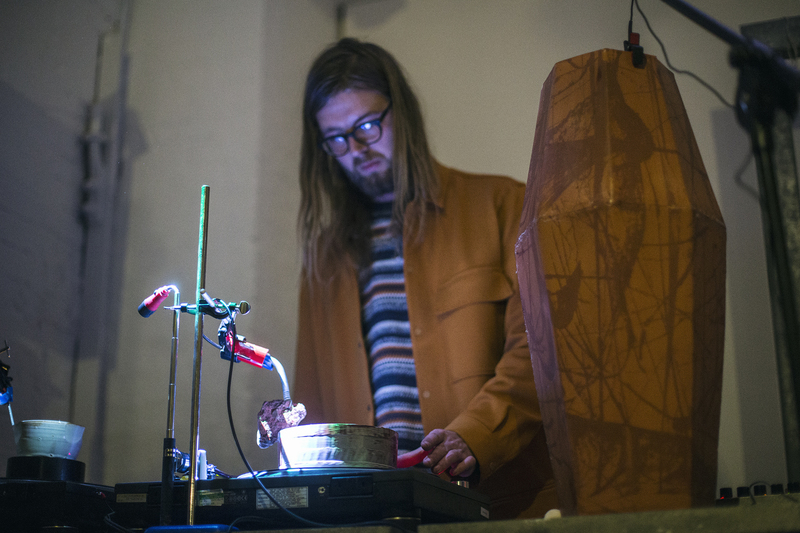 Their primitive, tactile form of turntablism mesmerised the room, intrigued by their unique spinning of copper dubplates, ceramic pots, and heavy icelandic rocks. 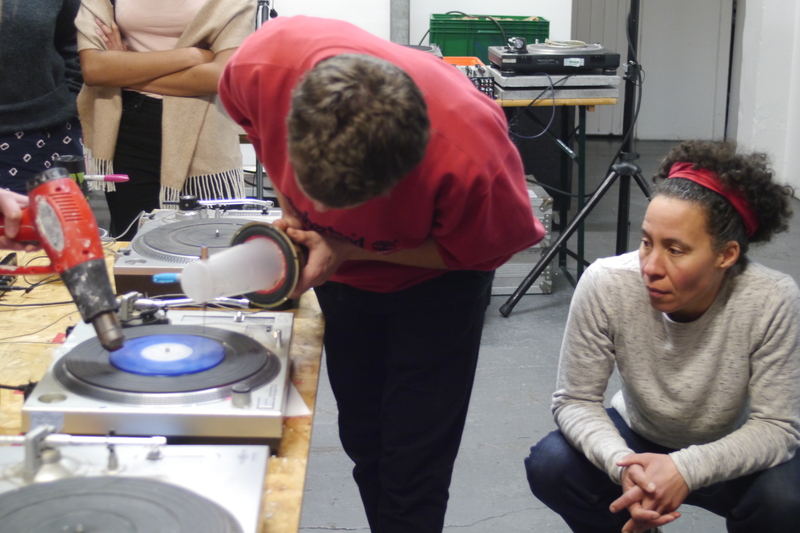 Earlier in the day the pair hosted a workshop in which Supersonic audience participants got to design and cast their own playable wax 7″ to take home. 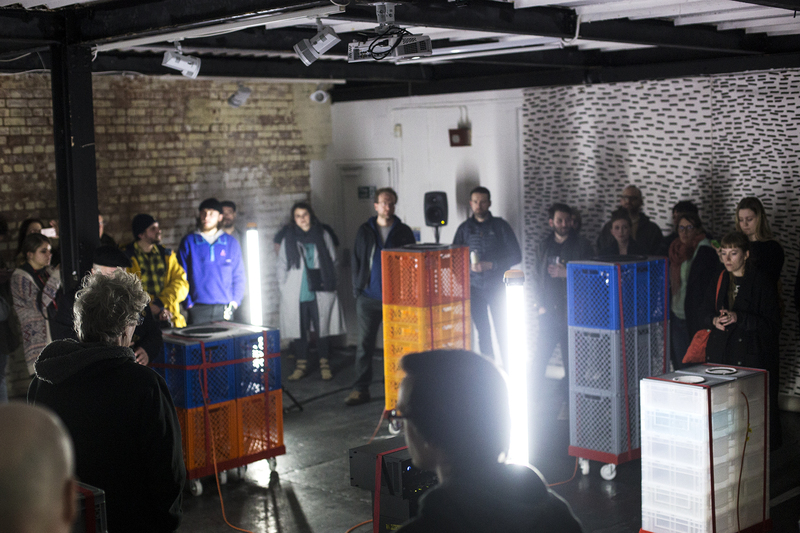 After some warm up sets from both Copper Sounds and UUOO (from an impressively technical suitcase…), it was time for the live sound experiment to begin upstairs. 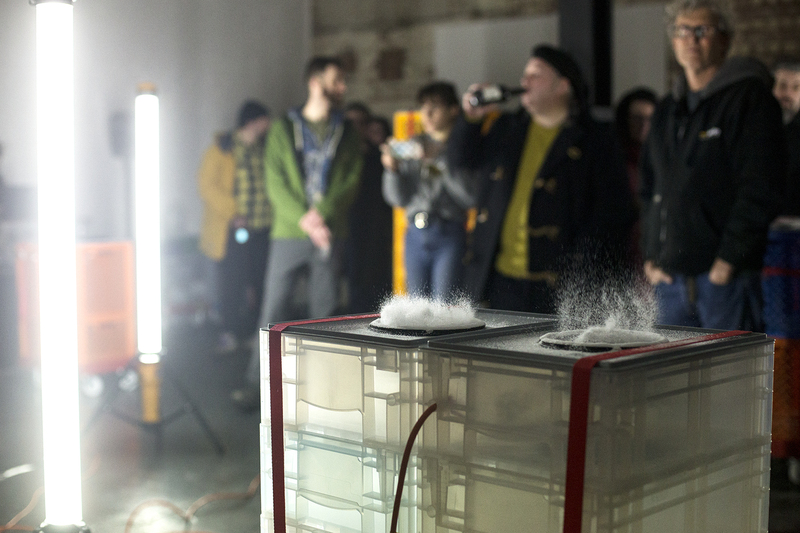 Drawing upon Keith Harrison’s renowned art practice transforming raw materials and Beatrice Dillon’s rhythmic computer music compositions, this jointly developed palette of playdoh pumping sound system and sound synthesis summoned a sensory site of elasticity, interference and reaction. 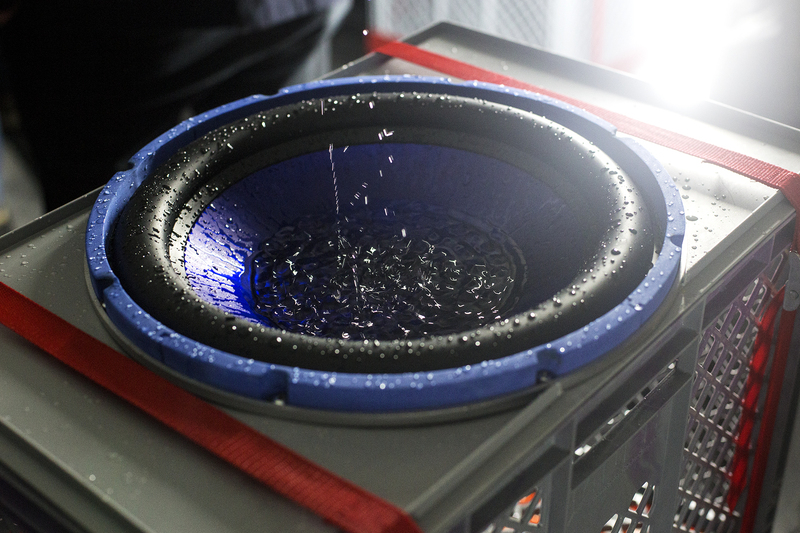 With Dillon playing through the multi-channel system, the speakers circling the room came to life in bounces and reverberations, each substance within- fluffy powers to coloured liquids- rippling in movement. This focus on interaction and the morphing of material is beautifully displayed, with Dillon’s music creating a trance like atmosphere. 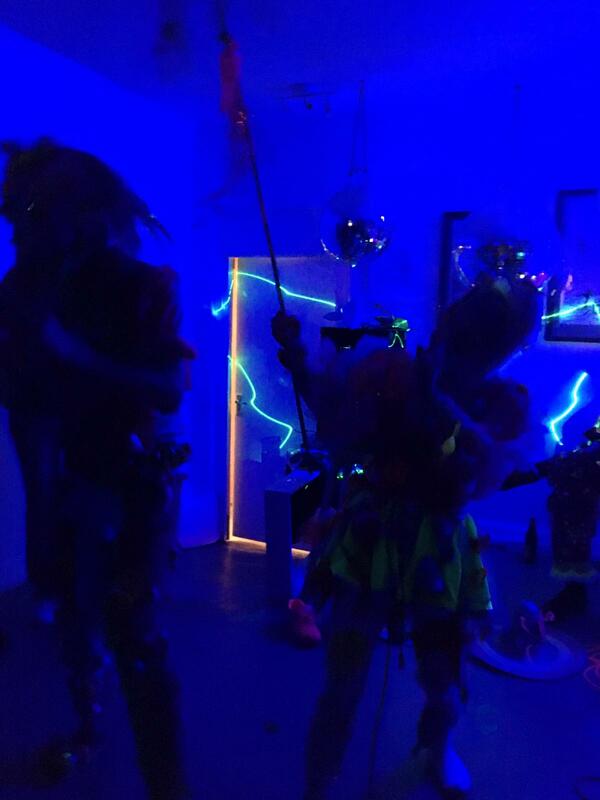 Huge thank you to the artists and curators, and to all who came to experience the immersive piece. 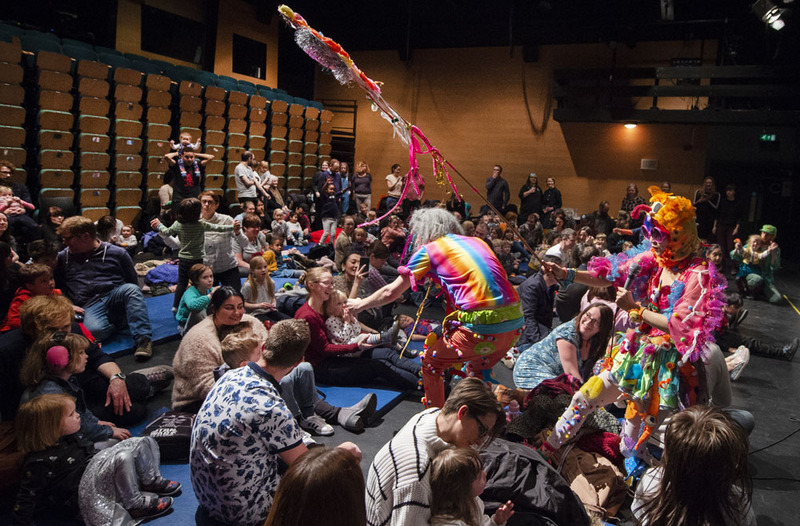 Keep an eye out on our website and socials for upcoming OUTLANDS events, or catch the rest of Ecstatic Material on tour at Cambridge Junction tonight, MK Gallery 13th Feb, South London Gallery 14th Feb and De La Warr Pavilion 15th Feb. 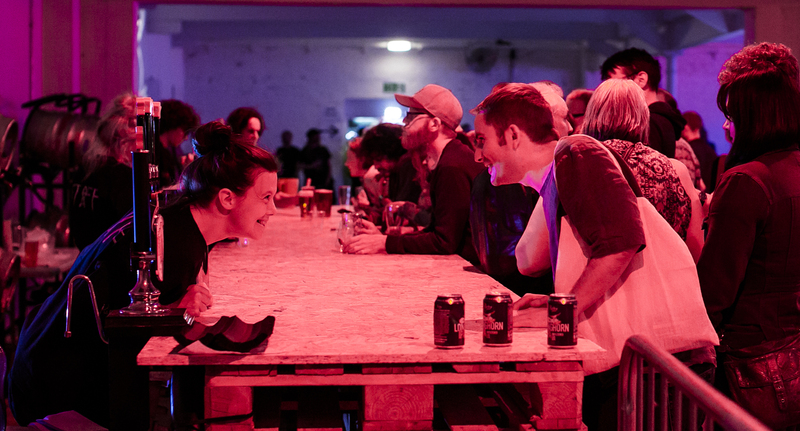 CHECK OUT SUPERSONIC’S UPCOMING EVENTS HERE! 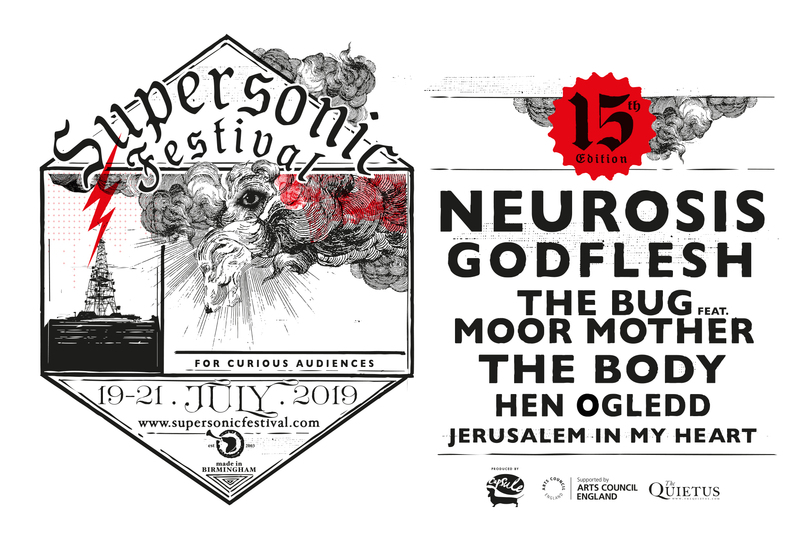 YOB join Supersonic Festival 2019 Friday line up! 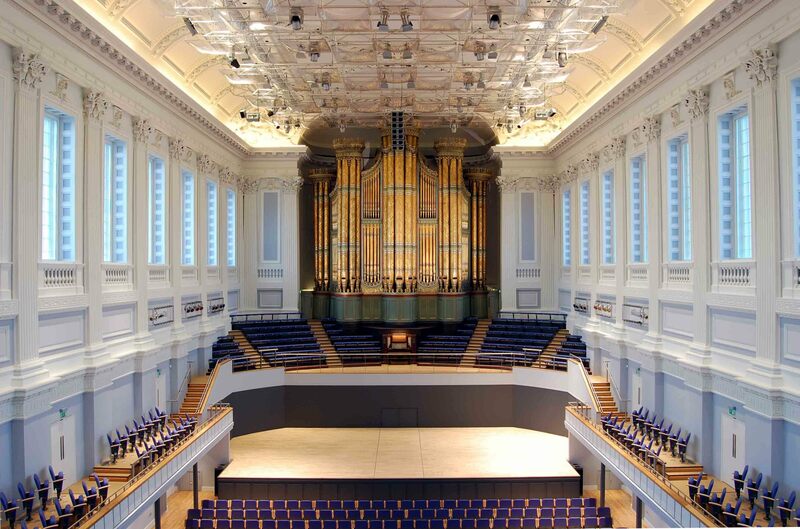 On Friday July 19th, opening Supersonic Festival 2019 in grand style at Birmingham Town’s Hall will be Godflesh and Neurosis. 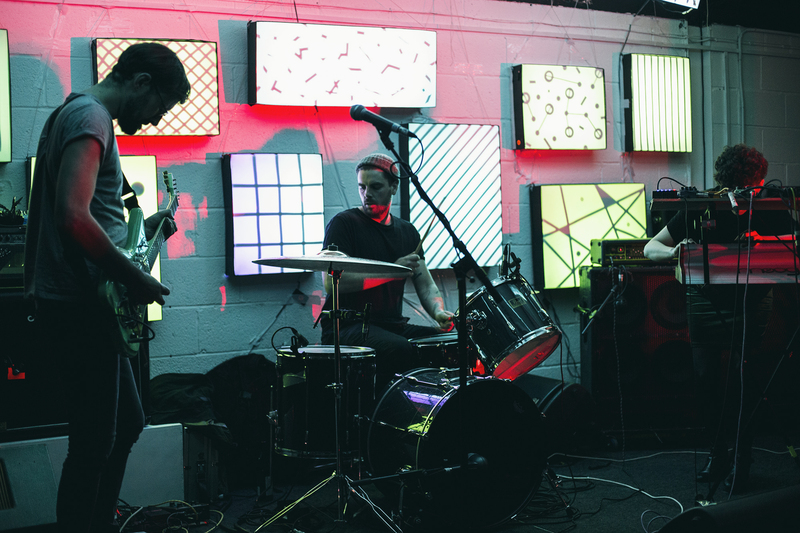 Then join us for the after party on festival main site where we will host YOB and an array of experimental acts amidst the industrial back streets of Digbeth, Birmingham – the Home of Metal. 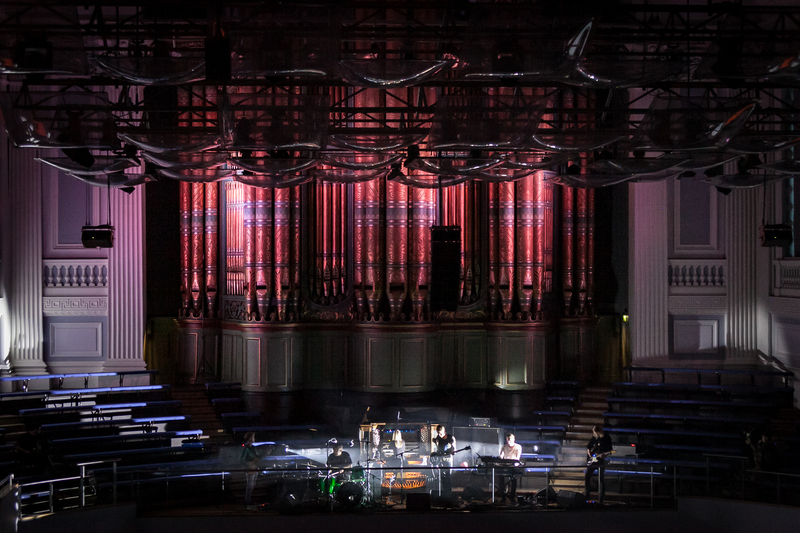 Friday tickets SOLD OUT in record time but you can still access both the Town Hall show and main festival site for 3 days of mind-bending music and art with WEEKEND TICKETS – ON SALE NOW! So don’t miss out! More acts to be announced soon. 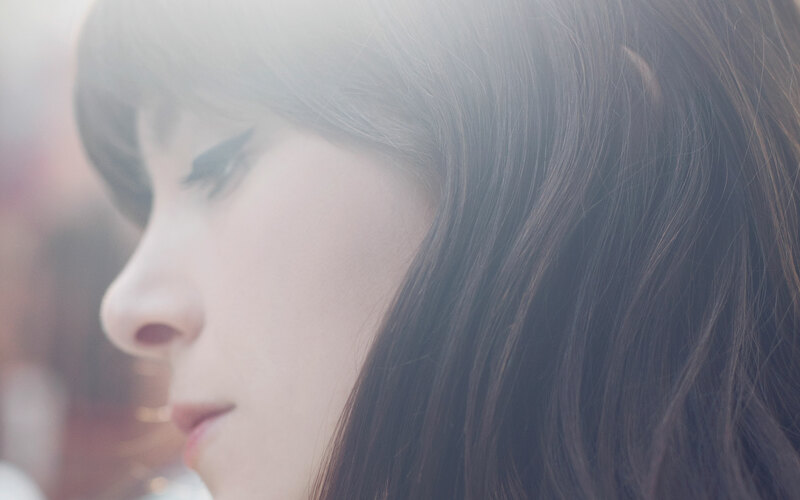 2019 marks 15 years of Supersonic, meaning 15 years of the same adventurous, independent spirit playing host to some of the most ground breaking musicians and artists from around the globe, from LCD Soundsystem, Anna Von Hausswolff, Holly Herndon and The Bug to SUNN O))), Jenny Hval, Godflesh and Mogwai. Guitar + synth + guitar formation Matters will be supporting this event, who smashed their set at our end of year show at Centrala. Be sure to act fast for this one, with a limited capacity of 50 TICKETS. 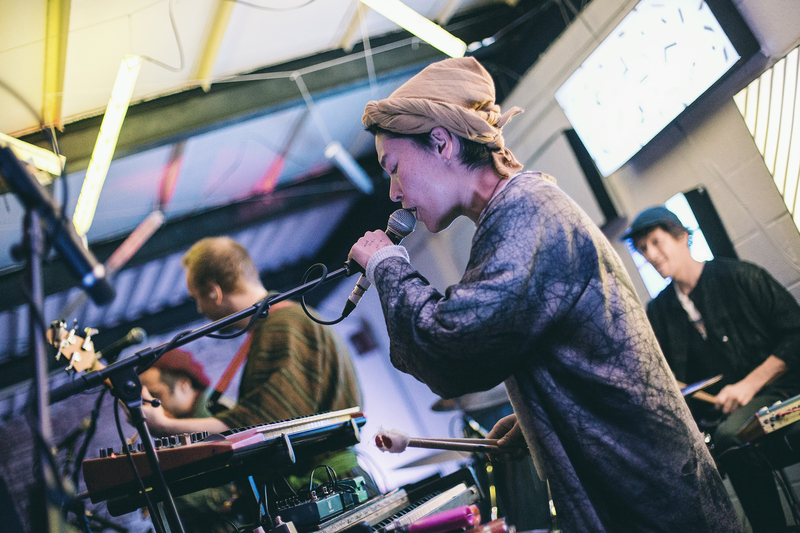 This event is led by Tirikilatops, an avant-garde, cross-cultural, collaborative effort between UK and South Korean artists/musicians who you may remember from last year’s Supersonic Festival. 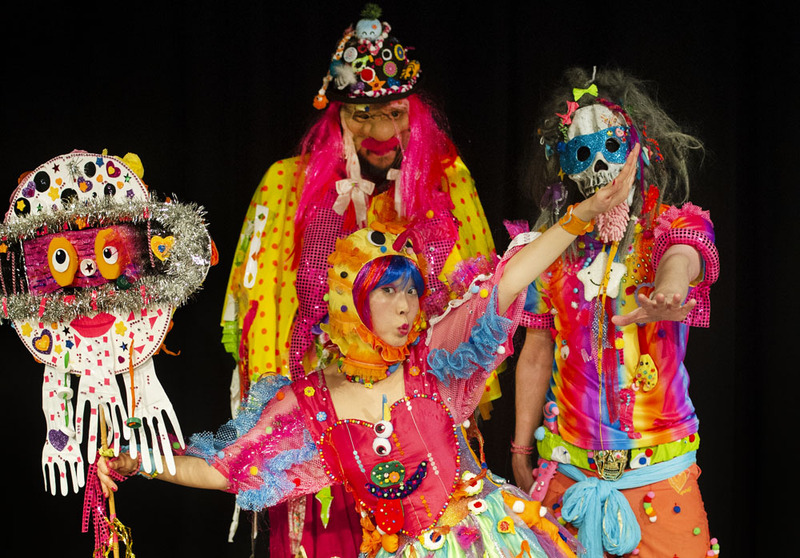 Together they forge bizarre electro k-pop from an ingredients list that contains kimchi beats, pop sensibilities, offbeat lyrics, hacked keyboards and super earworm melodies. Their guiding forces are surrealism, dada, forteana and charity shop finds. 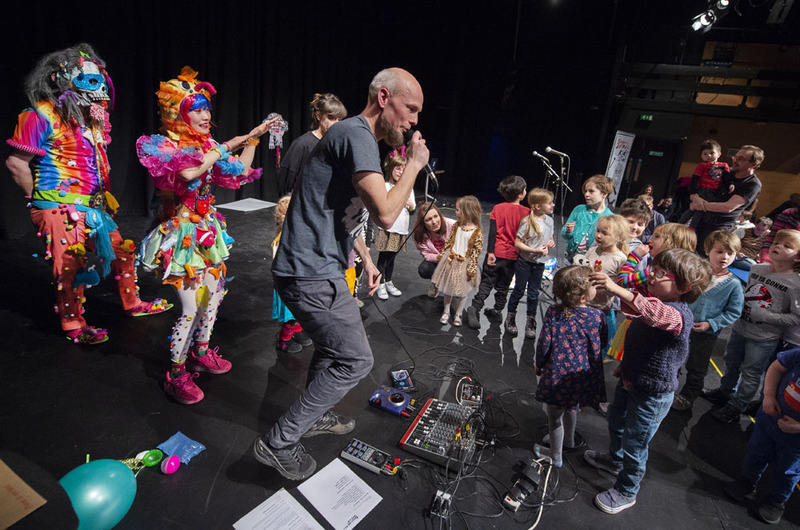 This could be our most eclectic Kids Gig yet! Recommended for children under 10, all children must be accompanied by an adult. 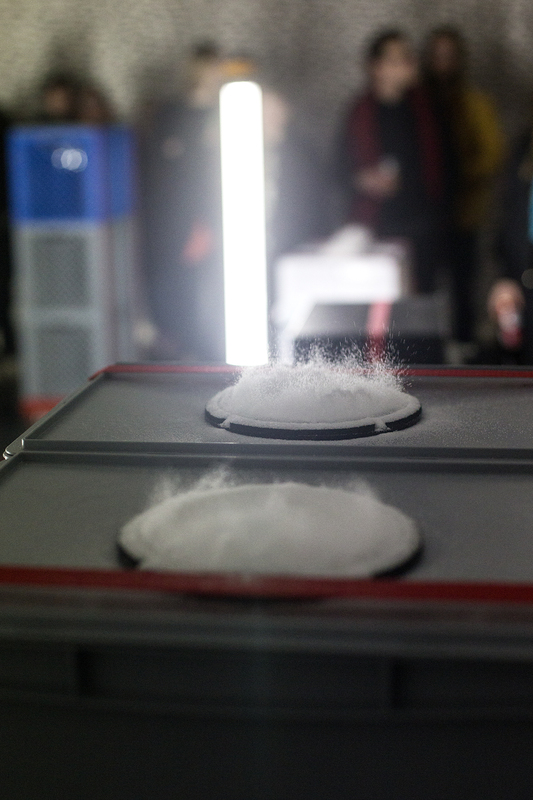 Supersonic Festival and Outlands proudly present ECSTATIC MATERIAL, a dynamic sound sculpture made and performed by electronic musician Beatrice Dillon and visual artist Keith Harrison in a brand new collaboration. March 8th marks International Women’s Day…in celebration of this we’re throwing a party on March 9th because we just don’t think it should end after 24hours. We celebrate the incredible Women artists we champion in our Supersonic line-ups all year round. We celebrate the Women that work their bums off to make Supersonic happen. We celebrate the Women of our audience who sure know how to have a good time! 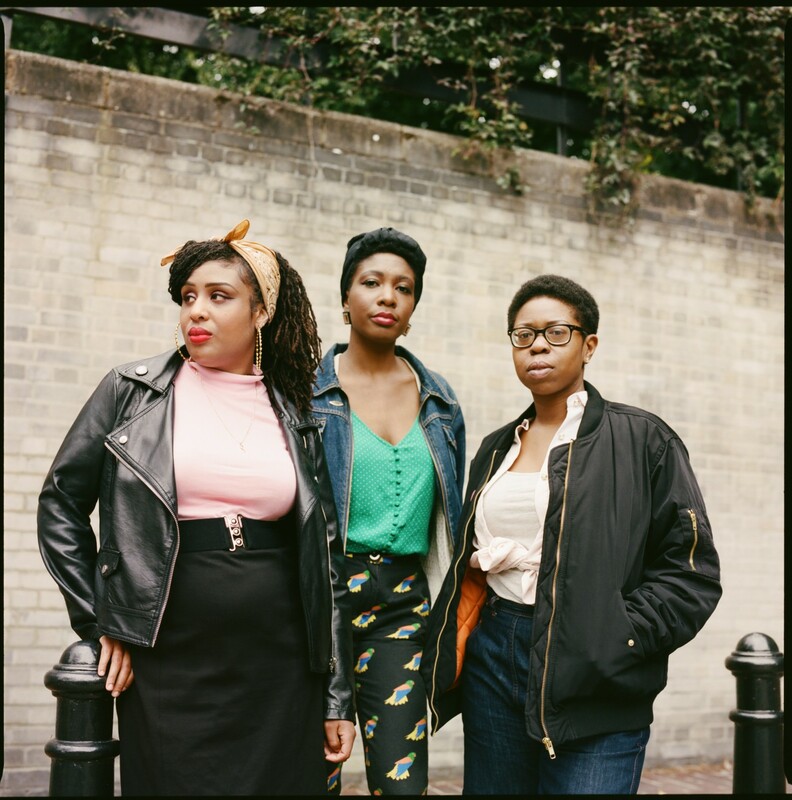 From the production office, to the stage, to the mosh pit – Supersonic Women take up space! Headlining, as they bloody well should be, local faves Youth Man are set to smash up the stage with their raucous punk energy. 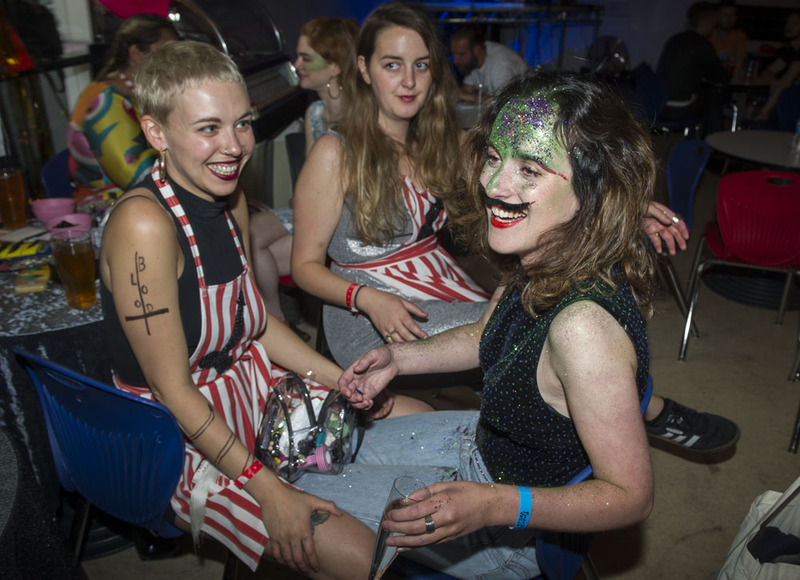 Plus DJs til late and of course, Glitter Station. 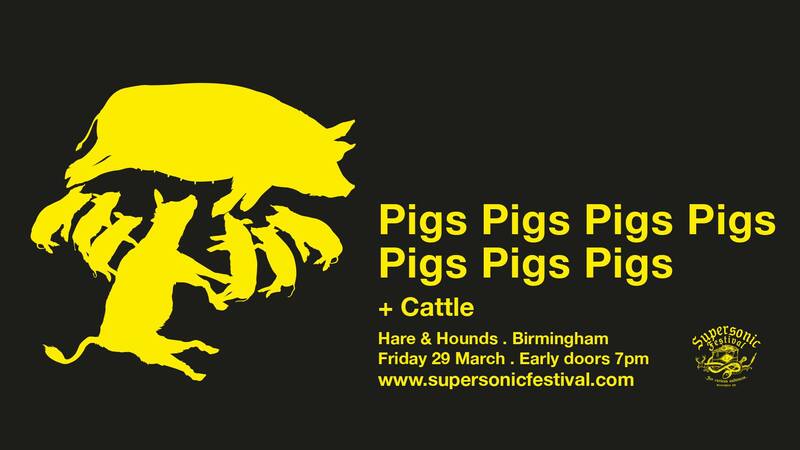 The Pigs return to the Hare & Hounds for this sold out show with Supersonic 2018 faves Cattle. 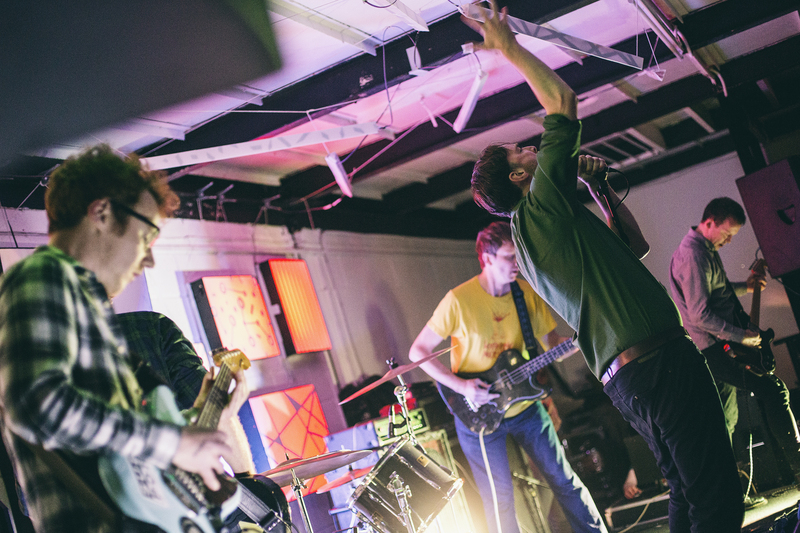 Strap in for a night of double drumming, heavy riffs, sweaty Pigs and thundering hooves in an intimate venue- perhaps your last chance to catch them playing in space of this size. 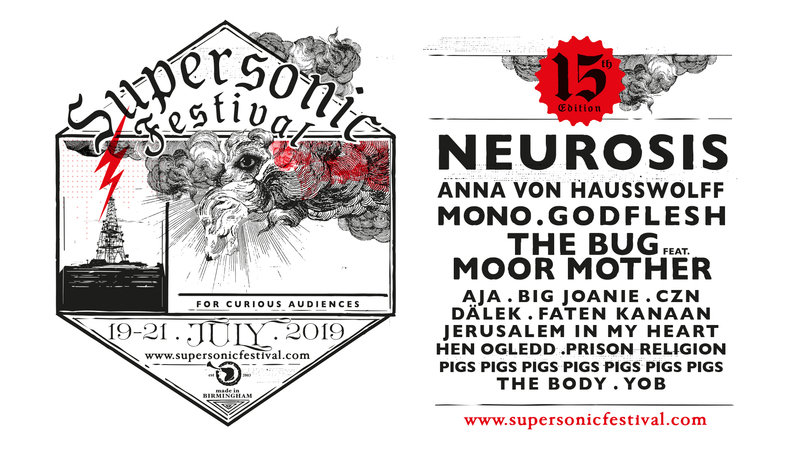 Supersonic Festival are immensely proud to announce iconic pioneers of heavy music, Neurosis as their 2019 headliners, with some more incredible names on the horizon for a programme that has you shaking in your boots. Supporting them are Brum legends and pioneers of industrial sound, Godflesh, which promises to be an unfortgettable experience. Justin K Broderick has a longstanding relationship with the Festival, as Supersonic have presented (and premiered) a number of his musical projects over the years. Over in Digbeth across the 15 year anniversary weekend, Moor Mother shall bring her vicersally charged output, and unstoppable energy to an innovative new collaboration with The Bug – who first appeared at Supersonic Festival’s first ever edition back in 2003. Joining the dots between mutant strains of dancehall, acid ragga and grime. 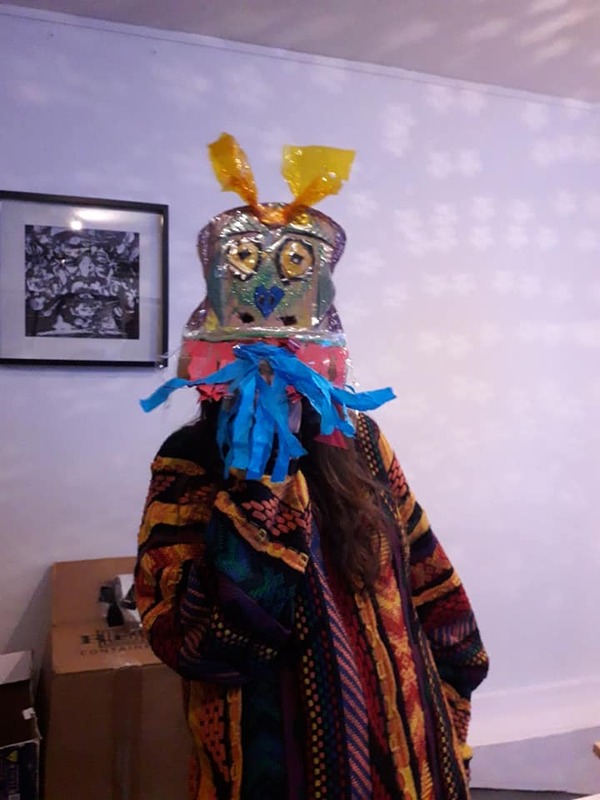 Joining them will be a mixture of intense, mesmerising live performances from The Body, as well as Richard Dawson outfit Hen Ogledd and contemporary Arabic audio-visual duo Jerusalem In My Heart (JIMH). 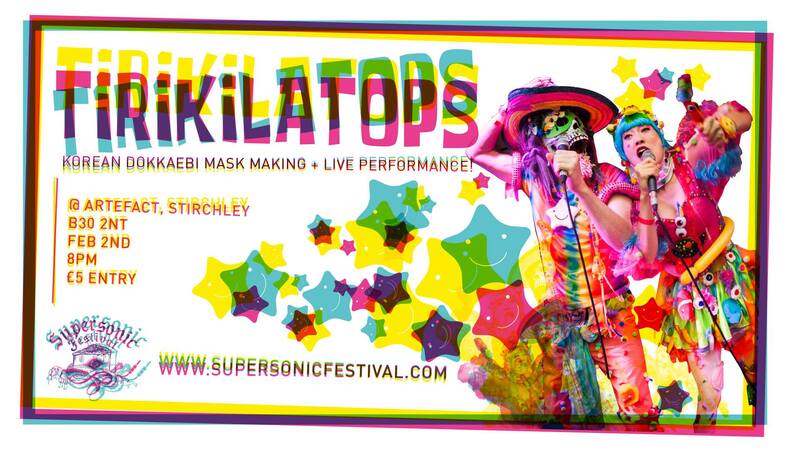 Be sure to keep your eyes peeled for further announcements around the festival for a Supersonic year not to be missed. 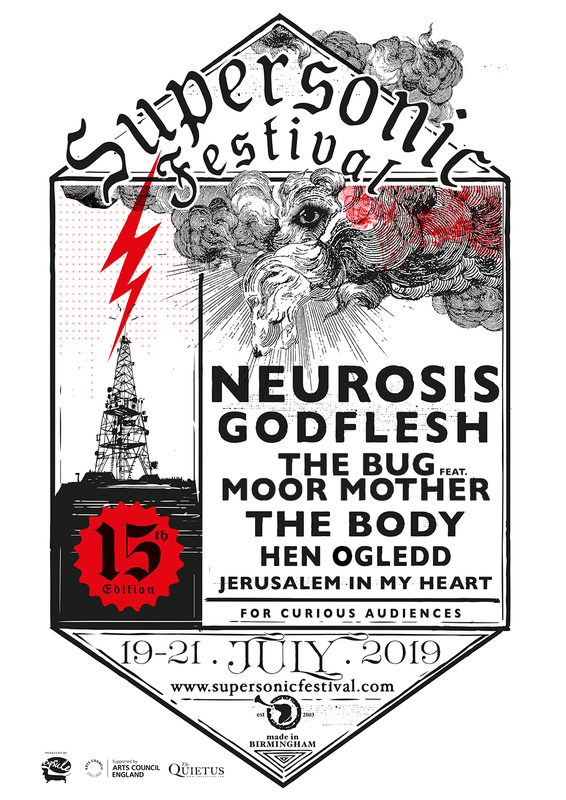 As part of Supersonic Festival‘s 15 year anniversary year, heavy music pioneers Neurosis shall be headlining in the stunning historic Grade I listed Birmingham Town Hall and we are thrilled to announce that supporting them are Brum legends and pioneers of industrial sound, Godflesh, which promises to be an unfortgettable experience. Justin K Broderick has a longstanding relationship with the Festival, as Supersonic have presented (and premiered) a number of his musical projects over the years. Over in Digbeth and across the 15 year anniversary weekend, Moor Mother shall bring her vicersally charged output, and unstoppable energy to an innovative new collaboration with The Bug – who first appeared at Supersonic Festival’s first ever edition back in 2003. 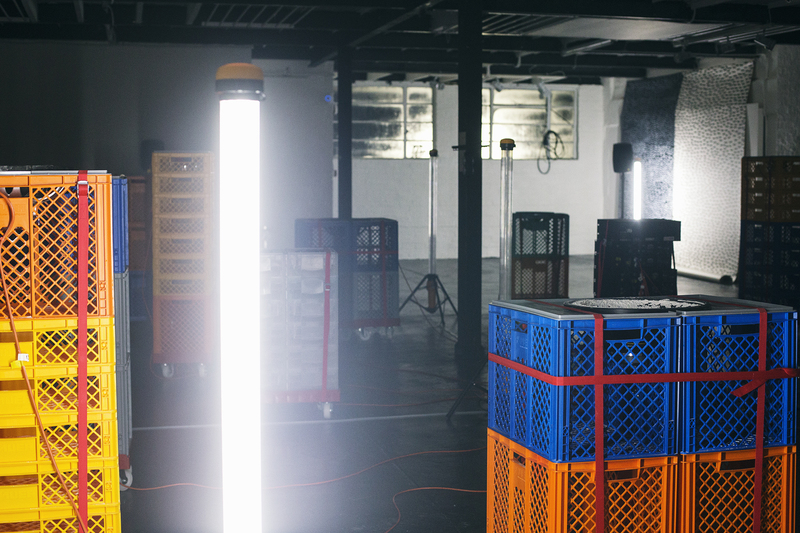 Joining the dots between mutant strains of dancehall, acid ragga and grime. 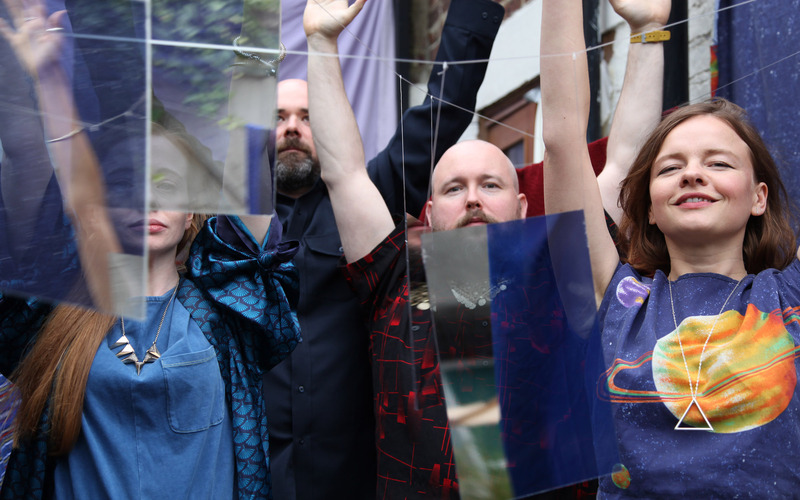 Hen Ogledd shall delight with their phantasmal blend of ravising melodies, hallucinatory textures and bonkers rhythms to Supersonic Festival’s 15 year edition. Comprising of Sally Pilkington’s picture-perfect pop and earthy singing, Rhodri Davies’ blazing harp splutterations and guitar moans, Dawn Bothwell’s twisted telephone techno and bamboozling lyric-bombs and Richard Dawson’s utter bass. Supersonic Podcast release – 2018 year round-up! Hope you had a Merry Christmas folks. Here’s one last treat from us to you to enjoy in that weird flux of time – the Crimbo Limbo! We’re sure you’ve had enough of the white noise of relatives, so tune in and zone out for couple of hours by listening in to our Supersonic Podcast 2018 year round-up. 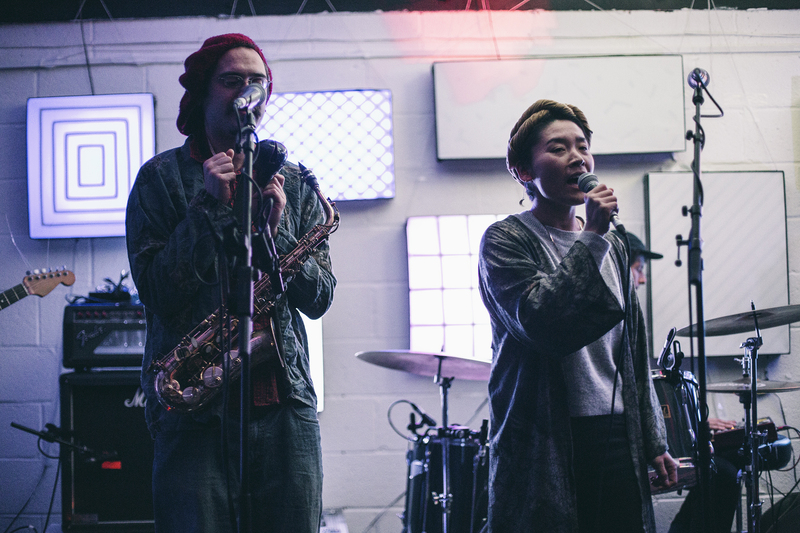 Rounding off the Supersonic year, host Anna Palmer takes us through the trajectory of these last 12 months and the artists that wowed and stunned us at Supersonic year-round shows as well as the festival itself. It’s been one hell of year. Thanks to all who attended the shows, we’d be nothing without our wonderful audience. See you in 2019 where we’ll be doing it all again for a SUPERSPECIAL anniversary year – our 15th edition! 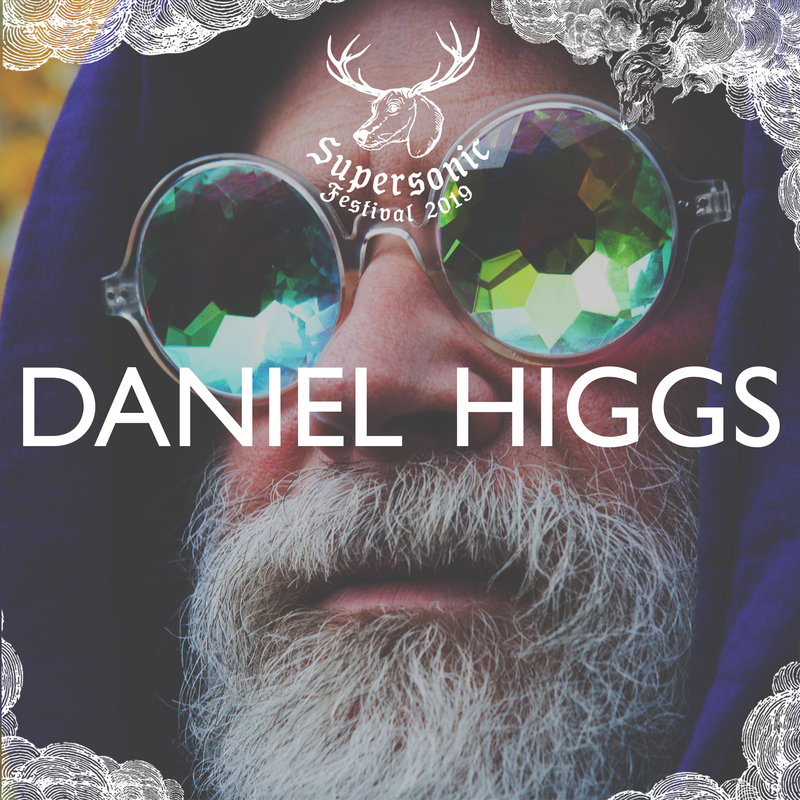 Don’t miss out on what is set to be an incredible year for Supersonic. 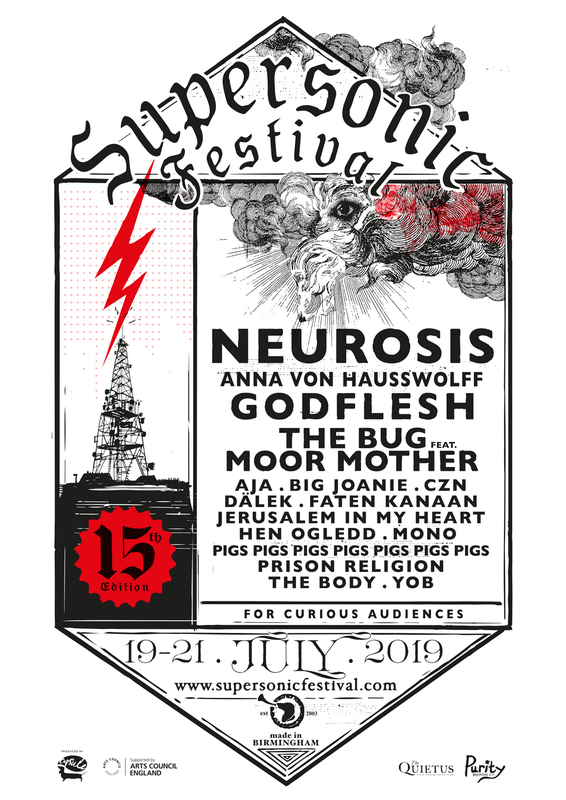 NEUROSIS headline show has already been announced, kicking off the festival in July in spectacular style in Birmingham’s Town Hall. 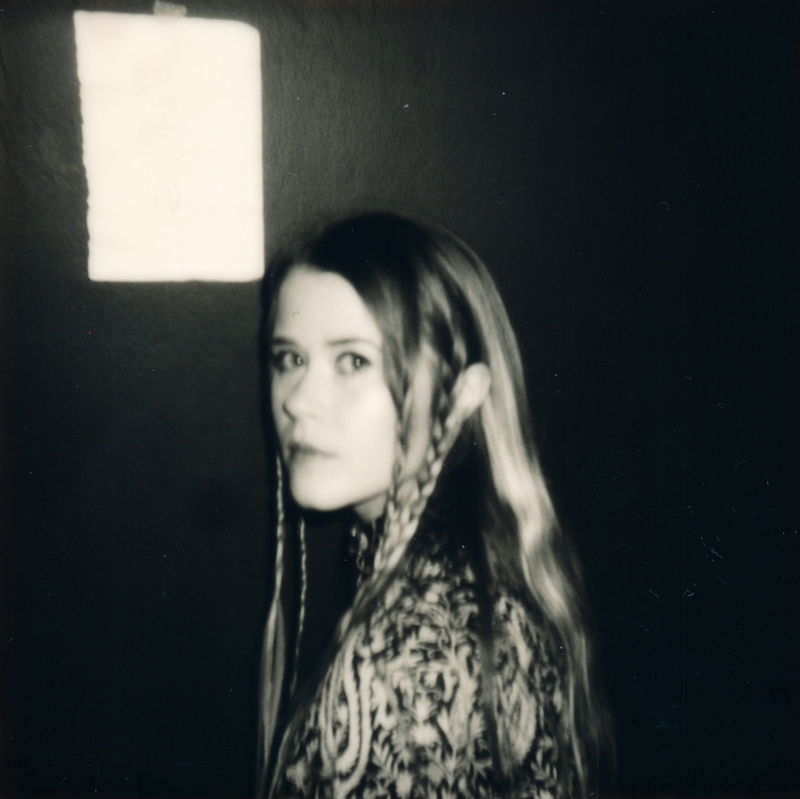 More announcements to come early 2019 – keep your ears to the ground! And get your WEEKEND TICKETS NOW!